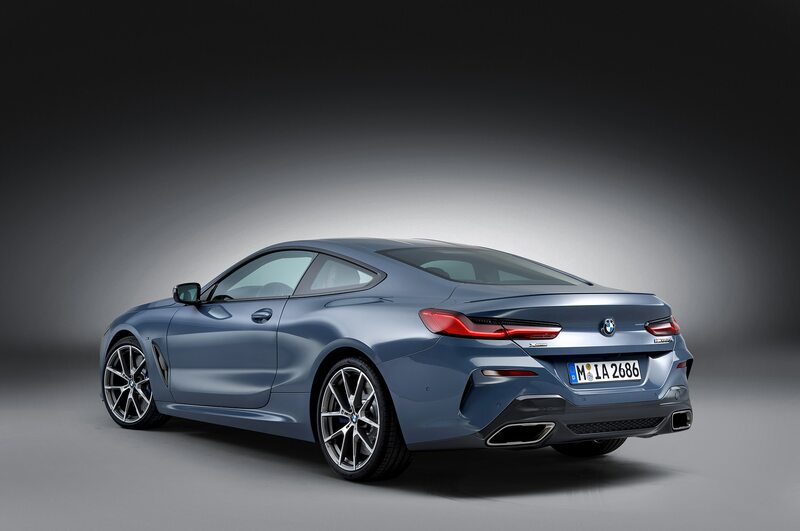 After a 20-year hiatus, the BMW 8 Series coupe is returning to the U.S. 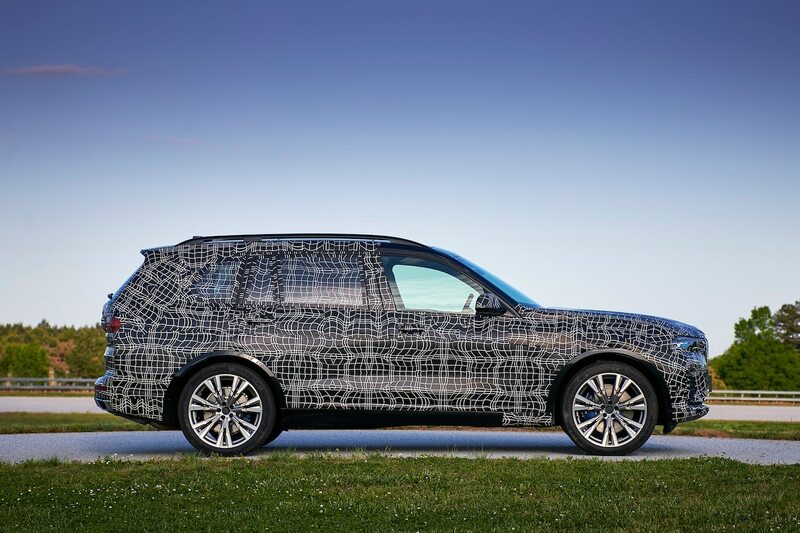 The range-topping two-door made its official debut today and will go on sale this fall. 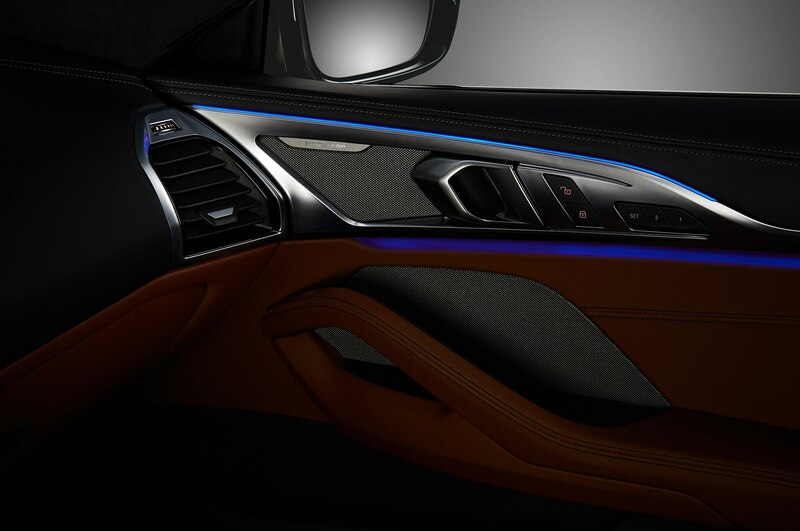 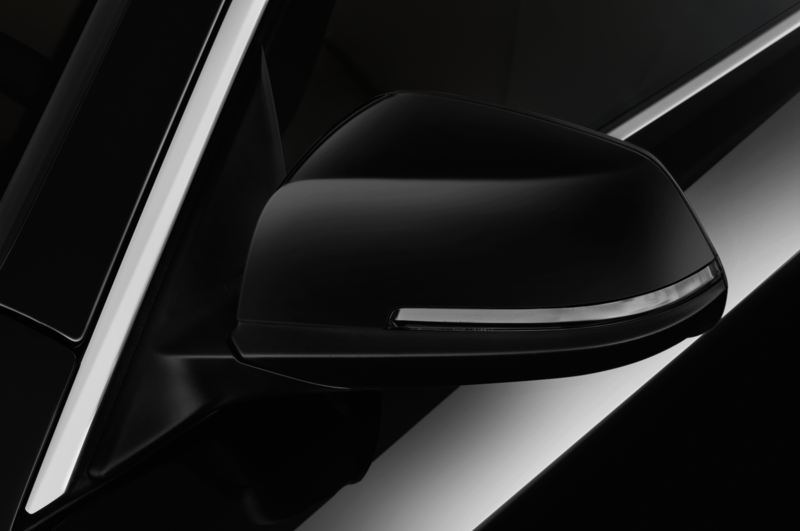 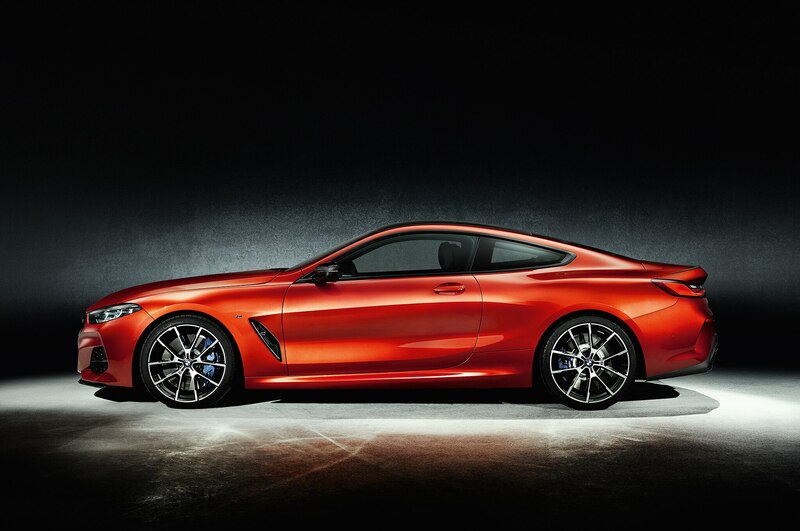 BMW hinted at the new model’s appearance last year when it debuted the 8 Series concept. 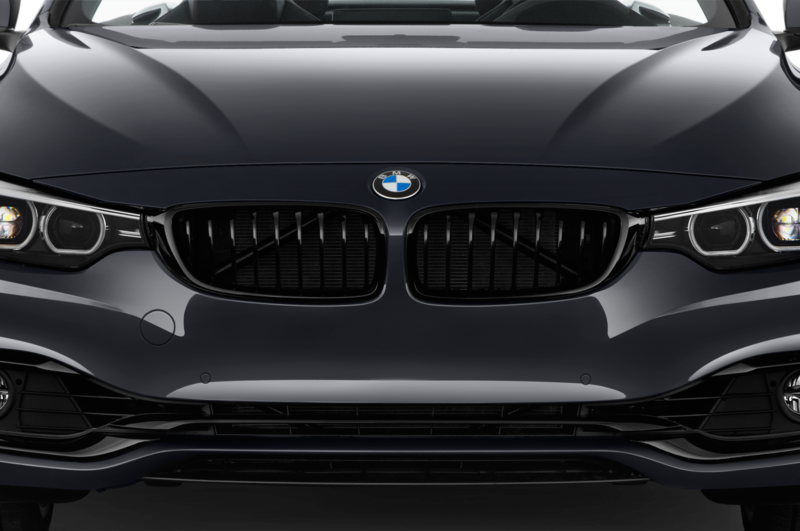 Unfortunately, the production version doesn’t look quite as sleek as that model, but BMW took the most important design themes to heart. 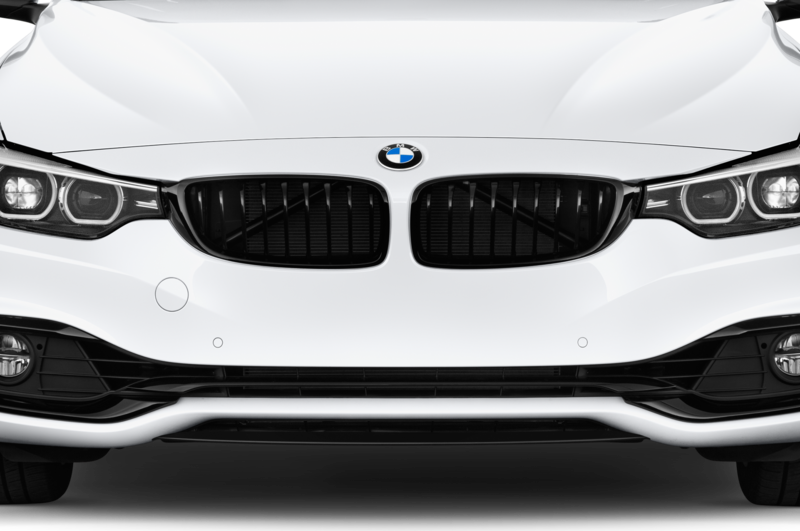 The model features a low-slung body, large air intakes, and a bold front spoiler. 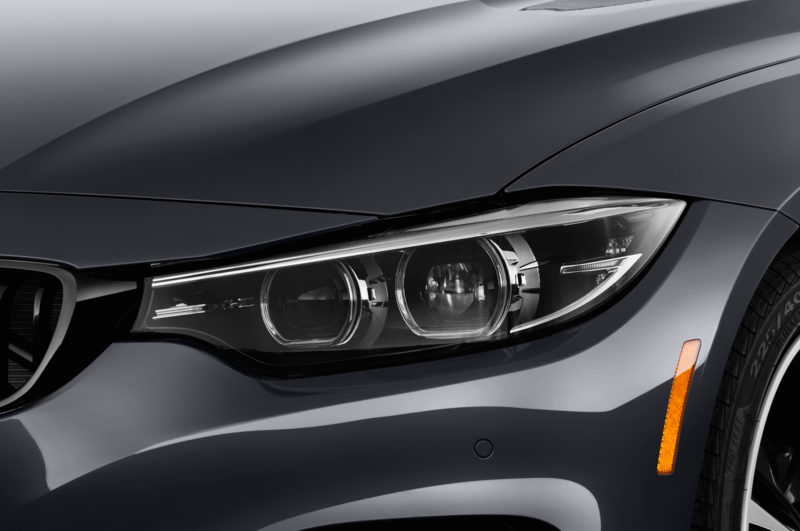 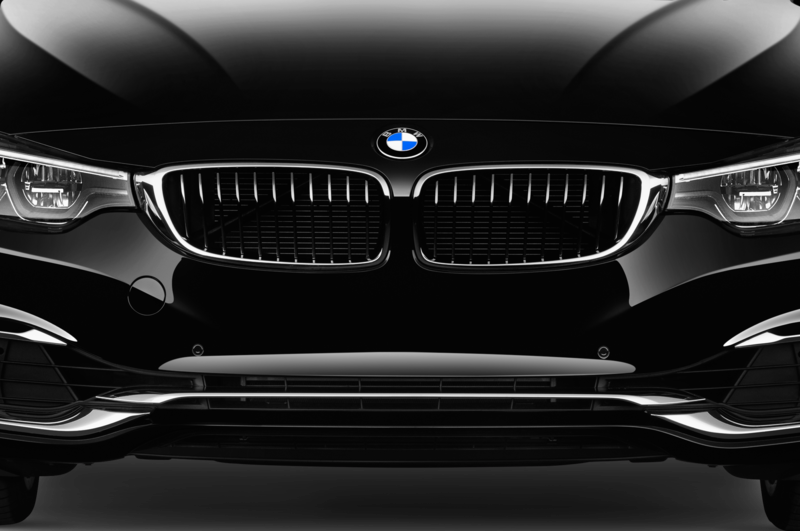 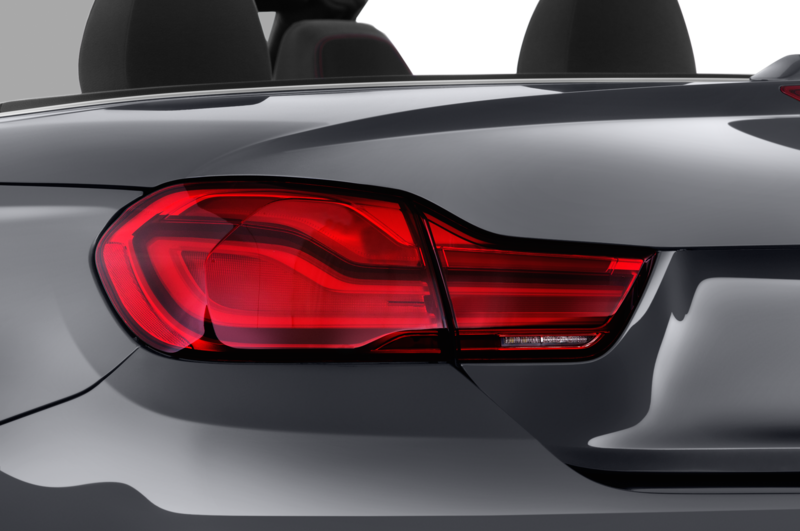 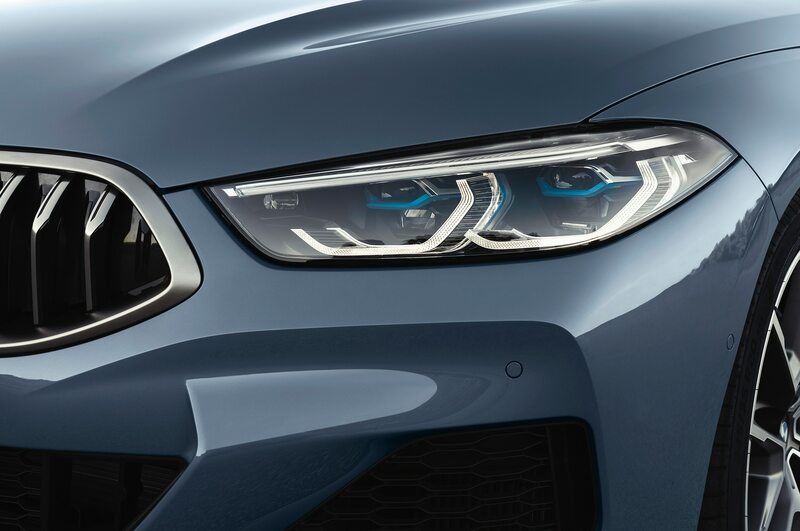 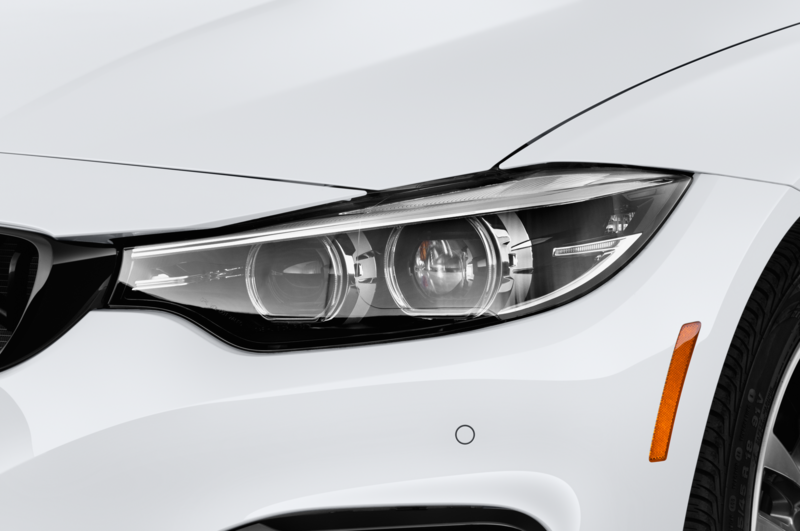 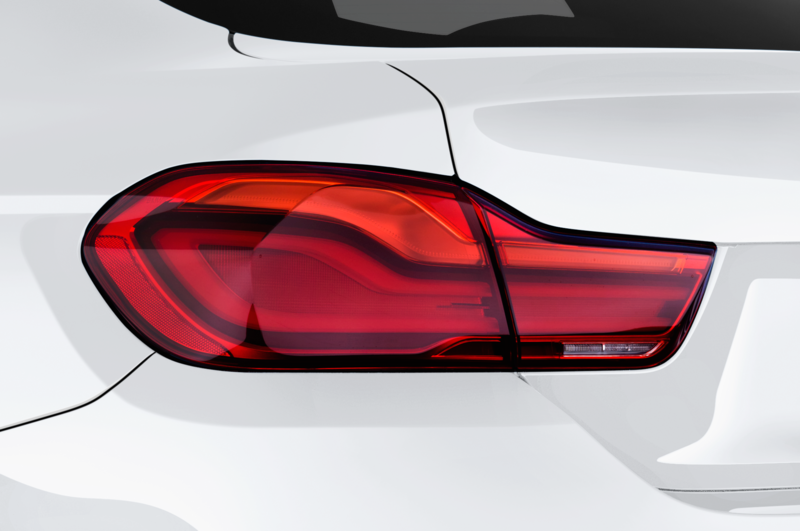 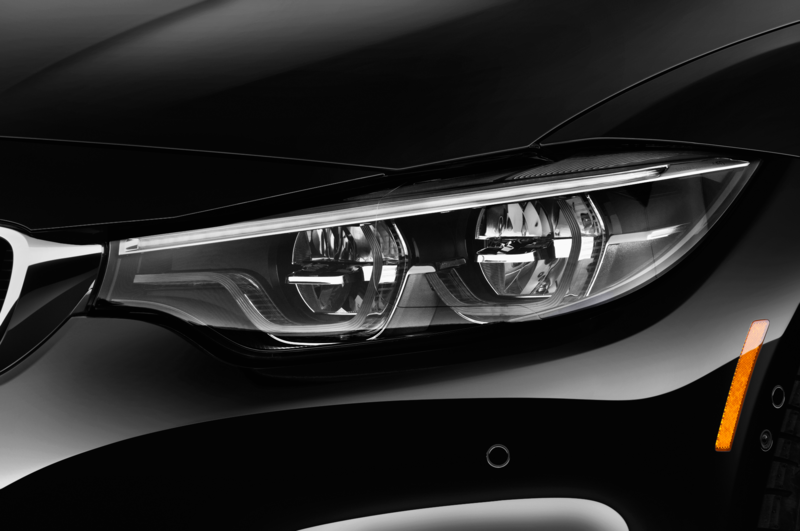 The model brings along LED laser headlights, which are the slimmest headlights of any BMW model to date. 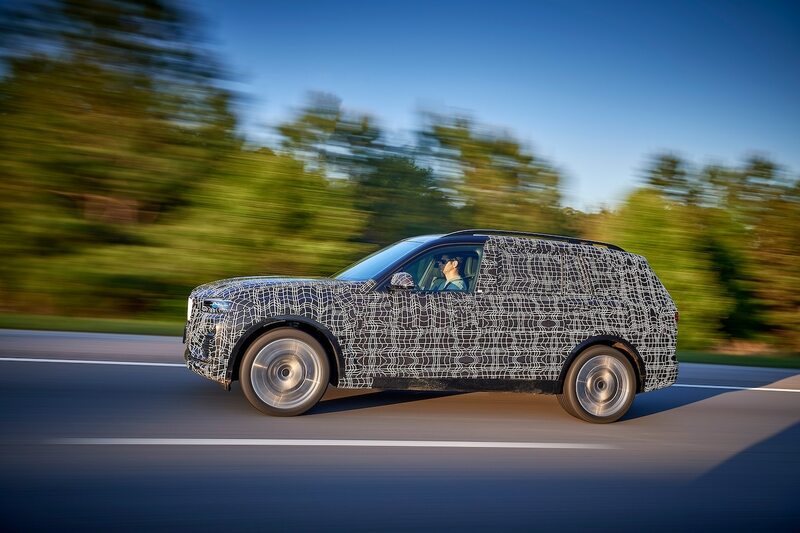 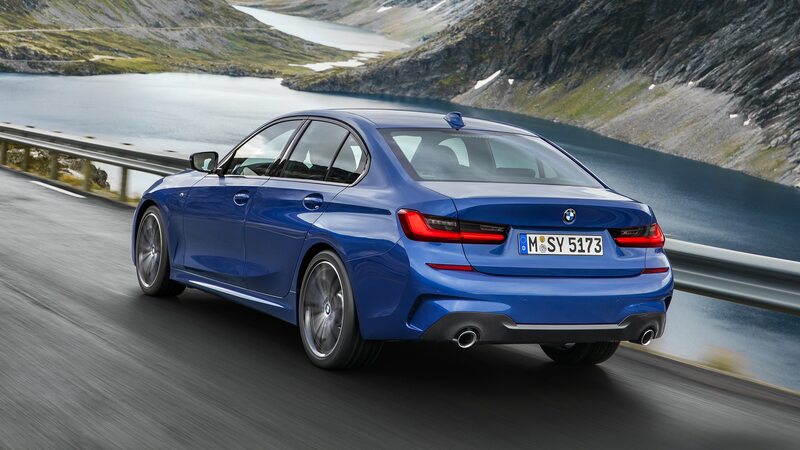 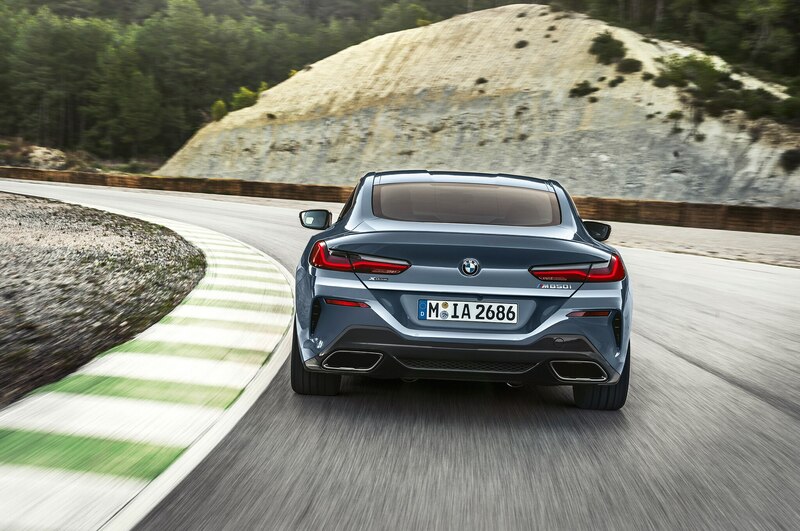 The roof gets subtle double-bubble contouring inspired by classic race cars, and it also features conventional trapezoidal twin exhaust tailpipes. 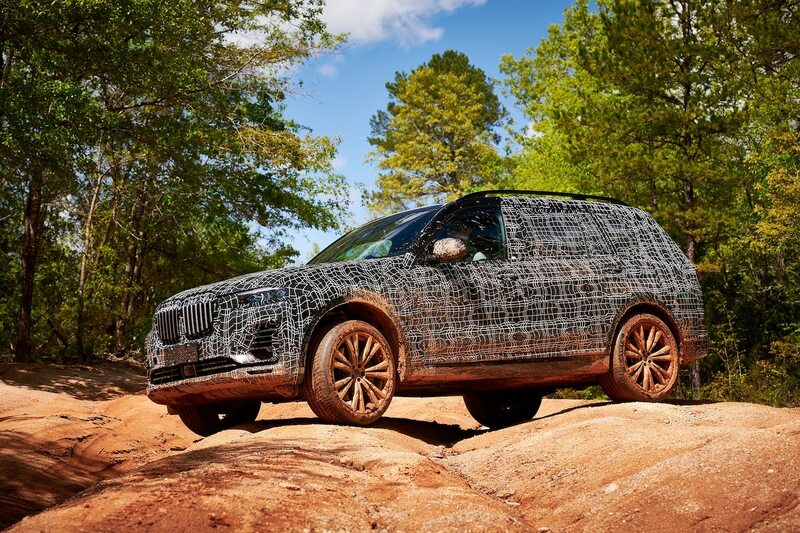 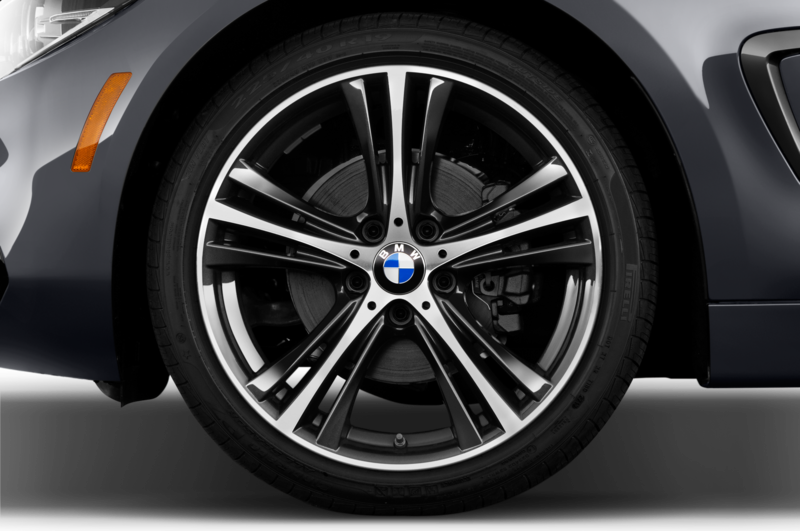 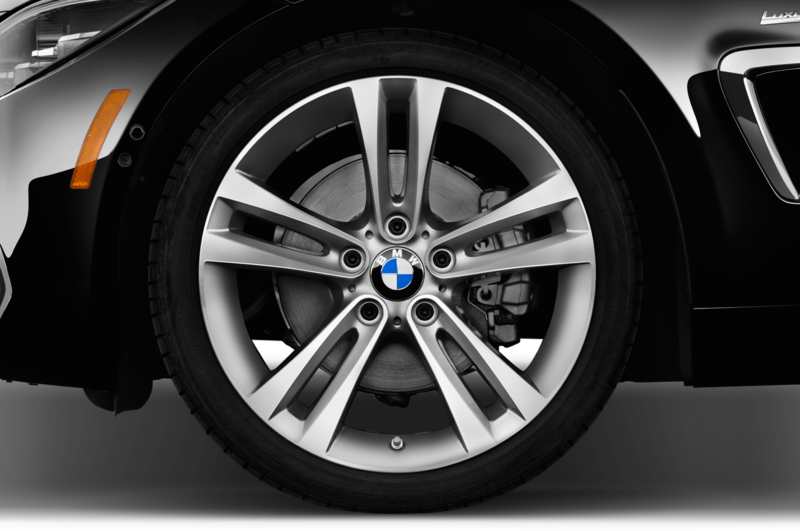 Twenty-inch M light alloy wheels finish off the look. 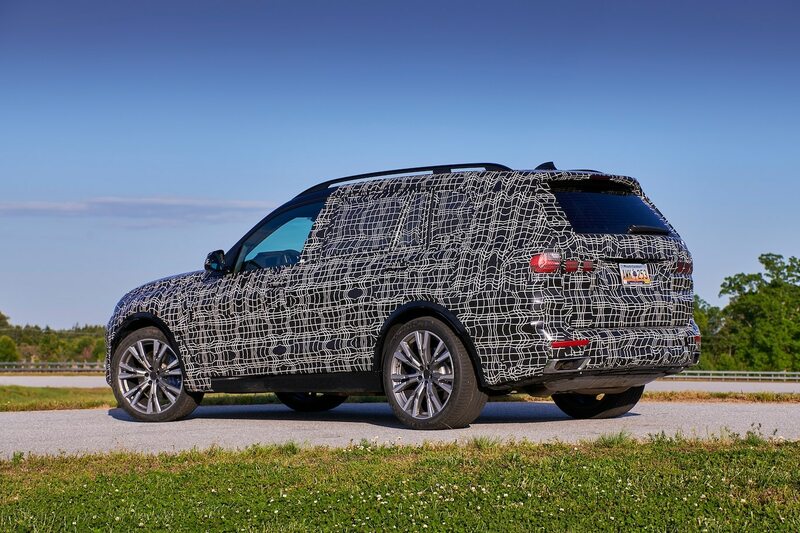 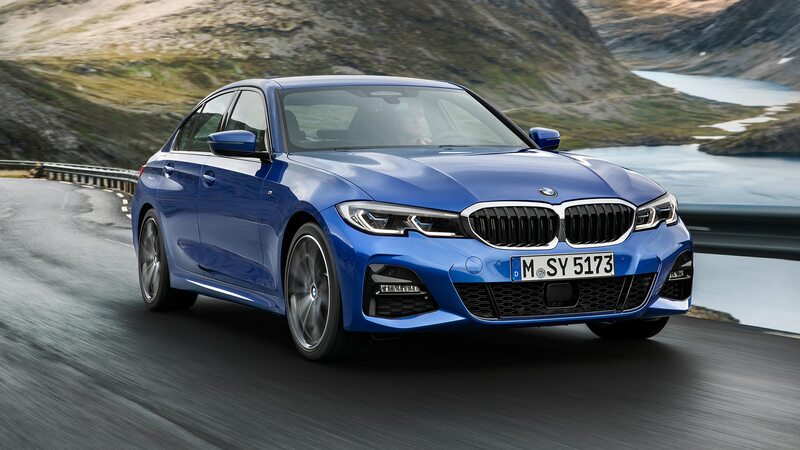 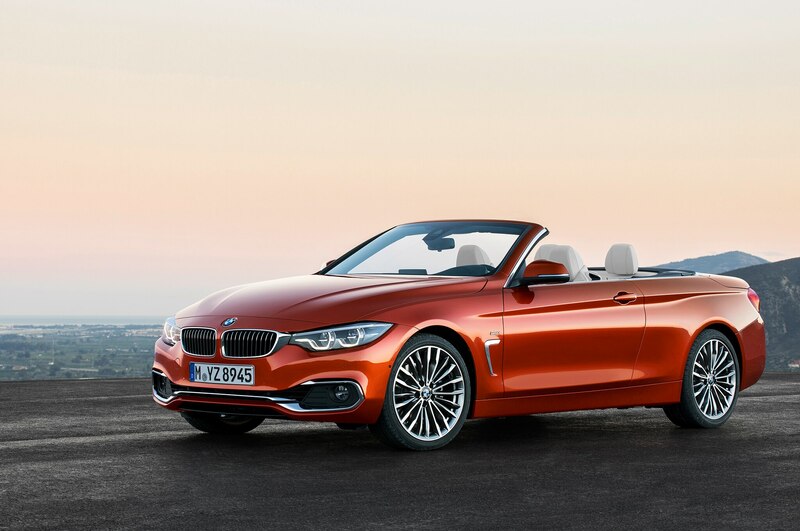 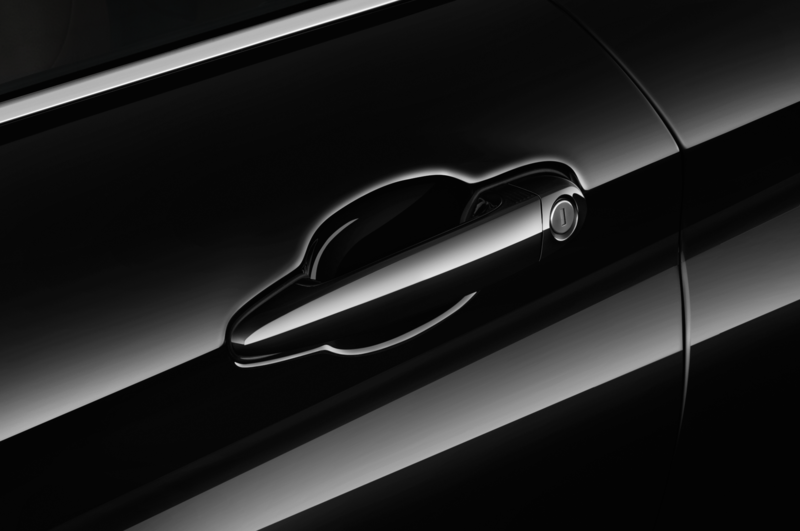 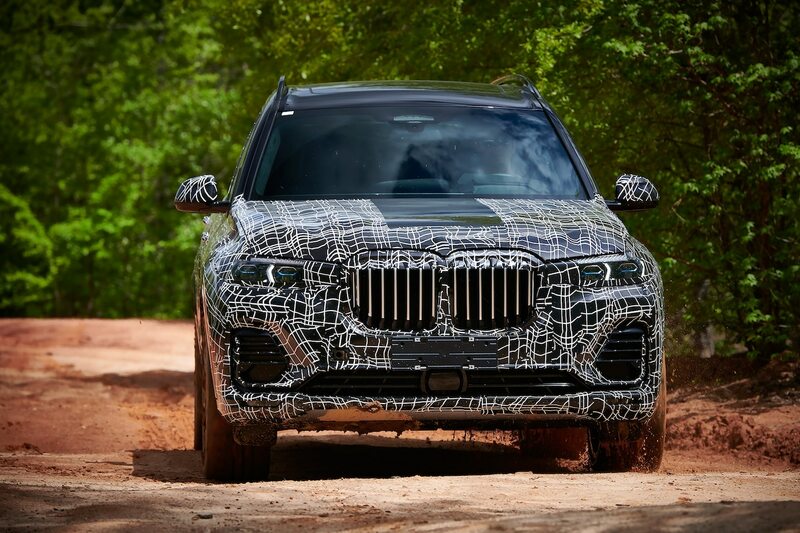 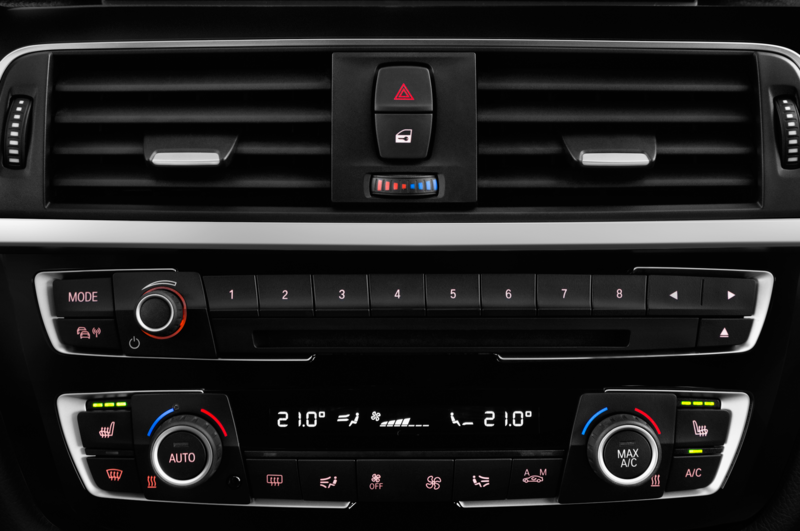 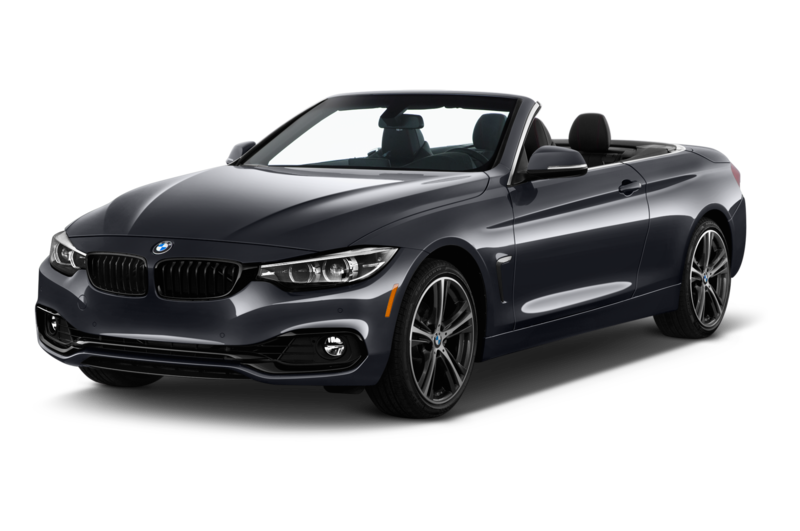 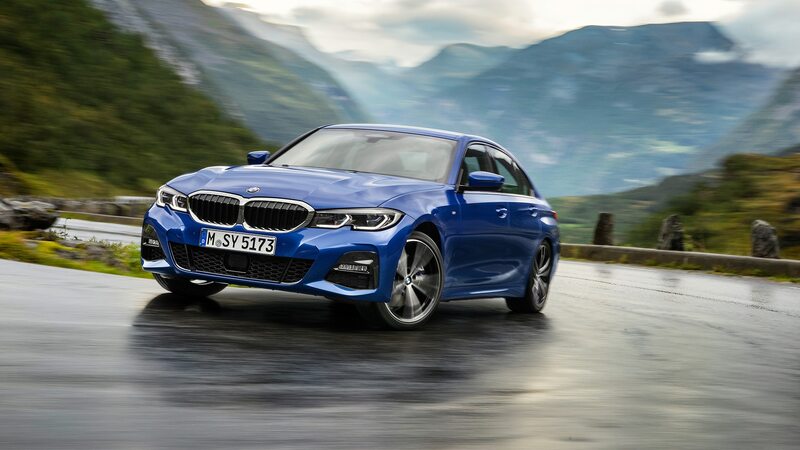 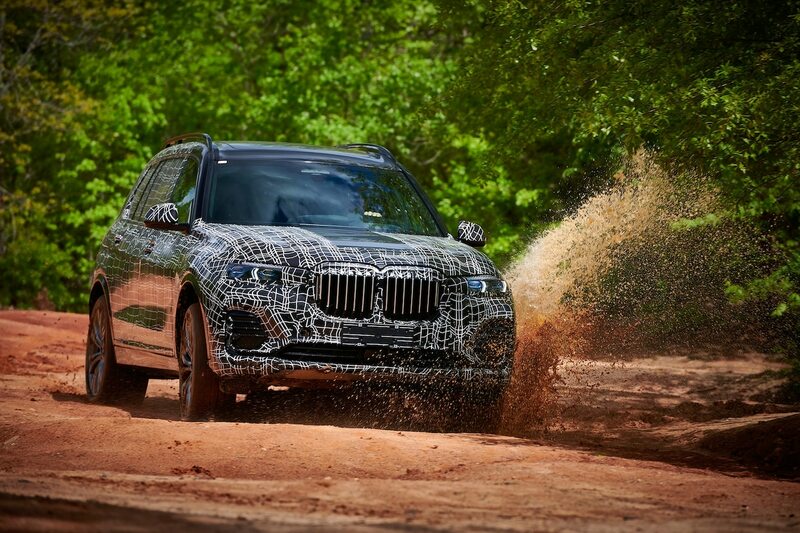 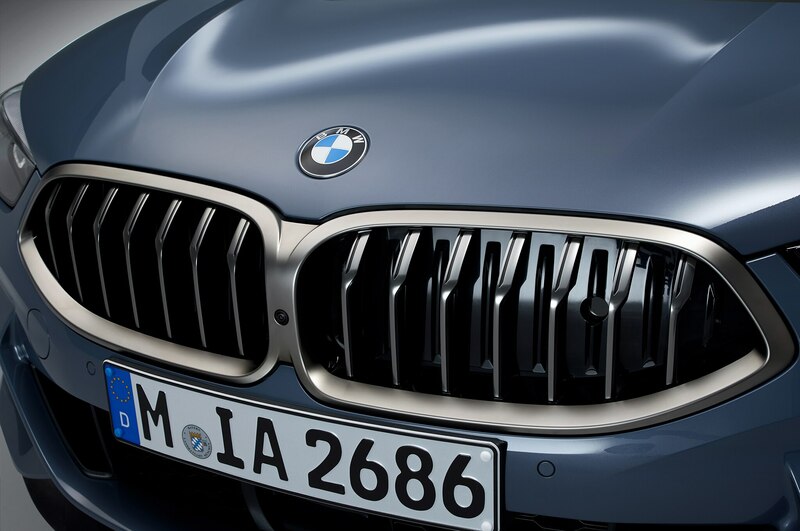 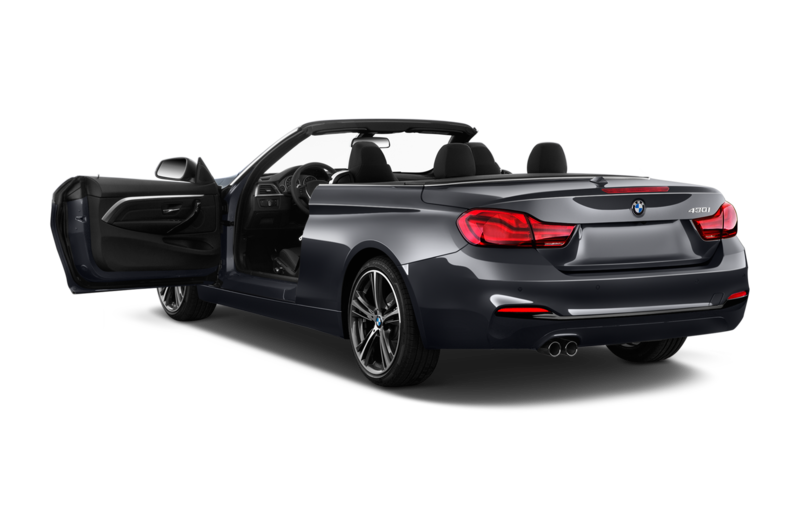 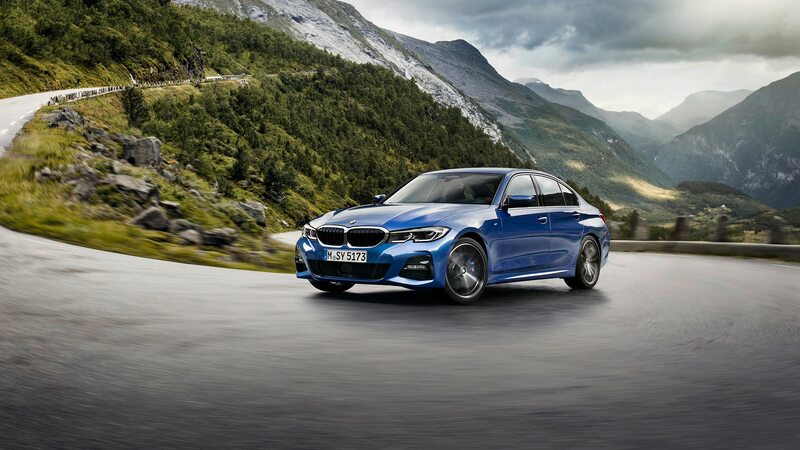 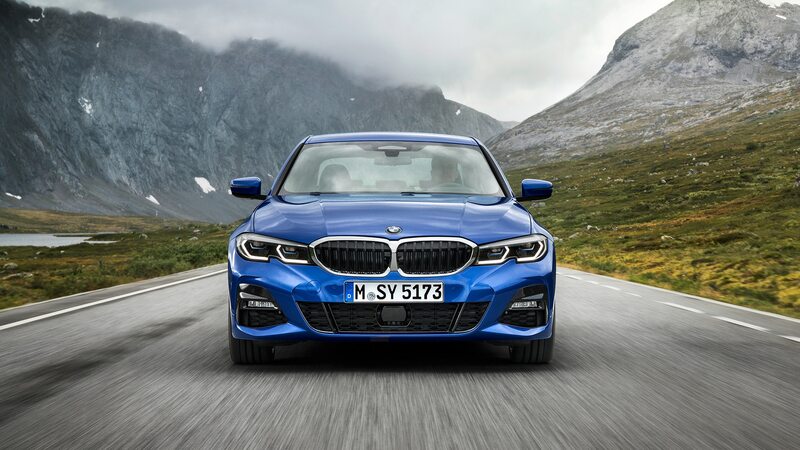 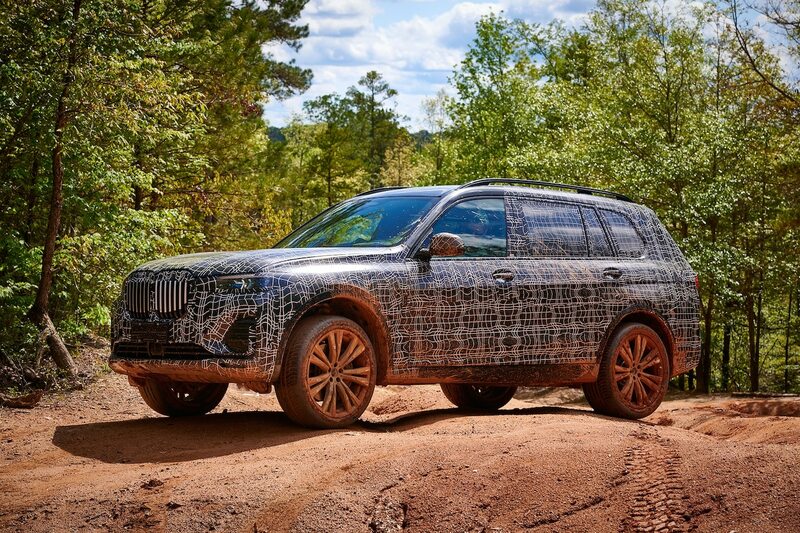 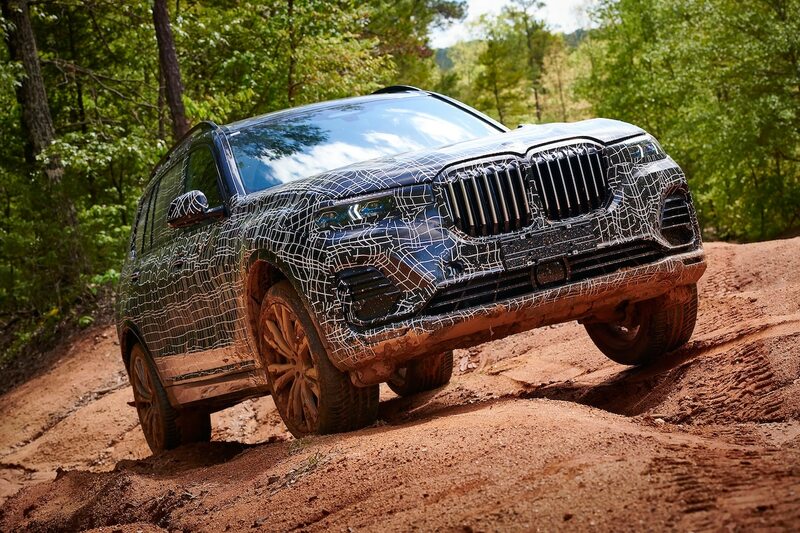 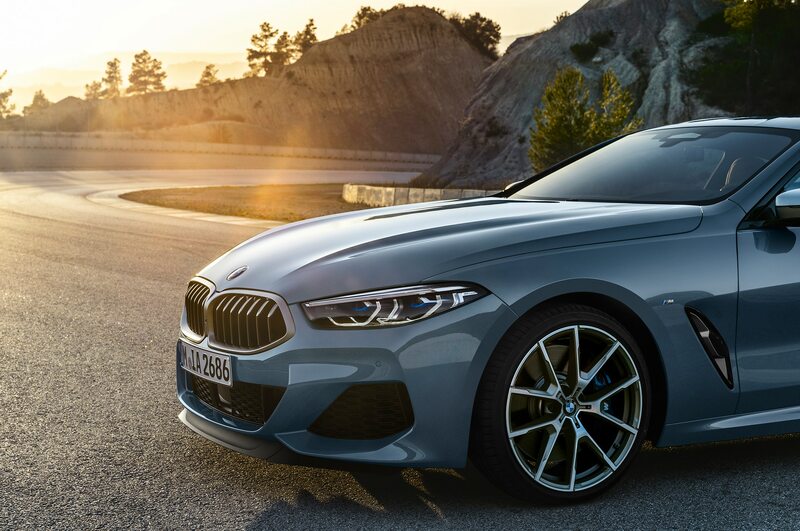 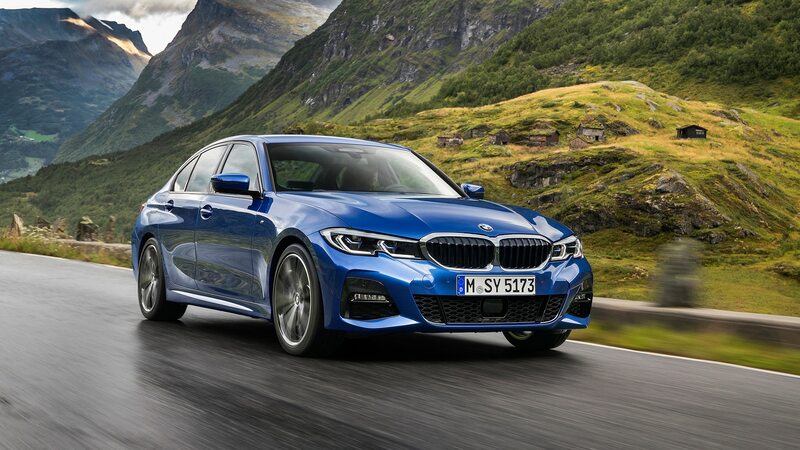 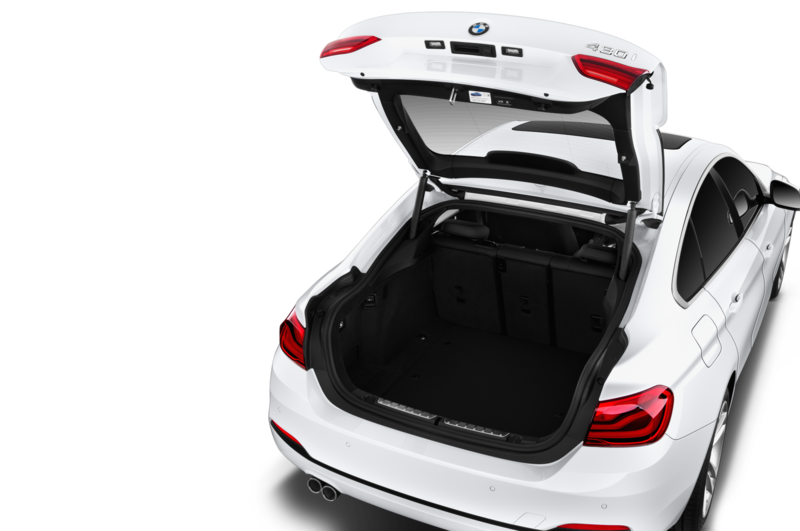 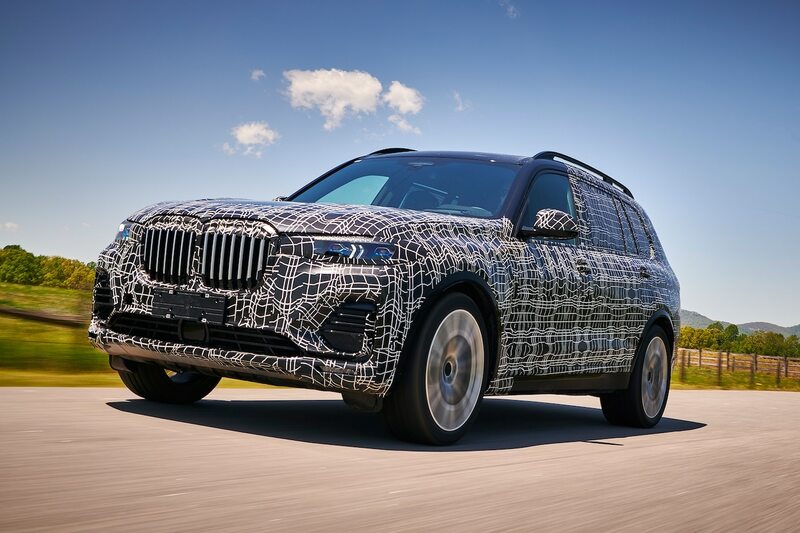 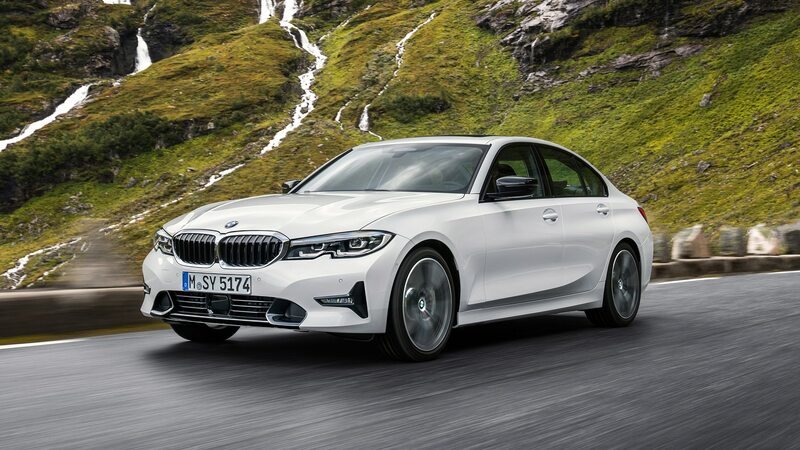 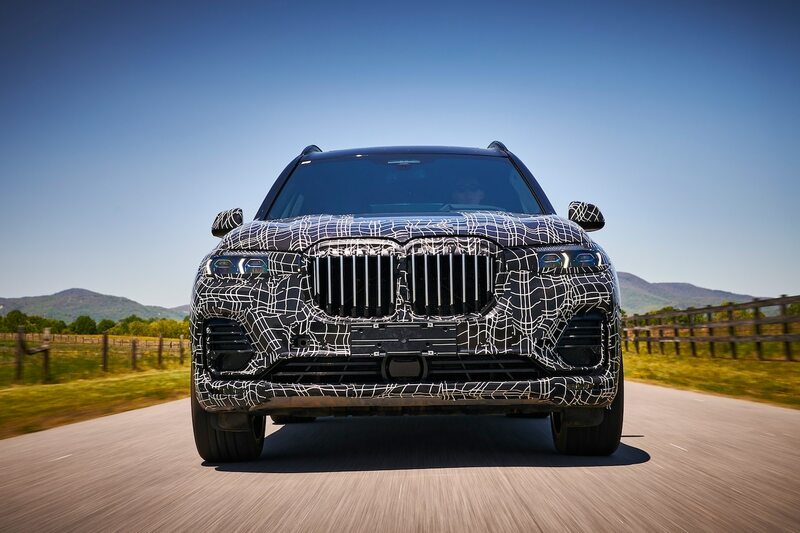 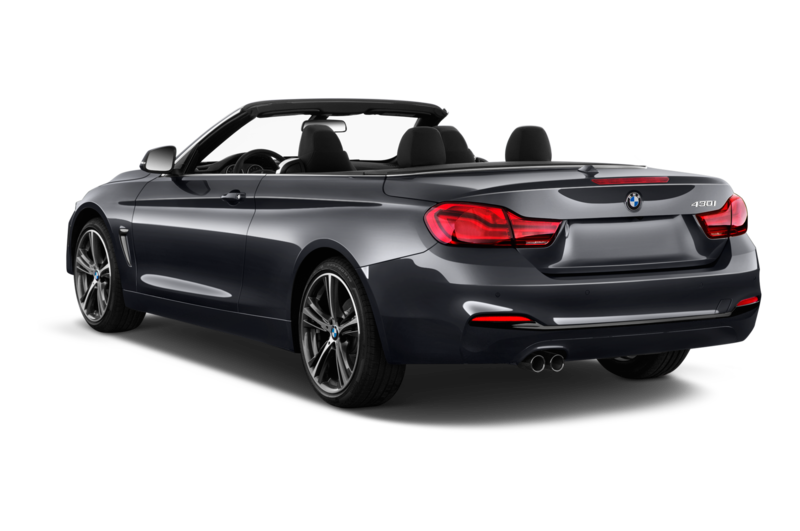 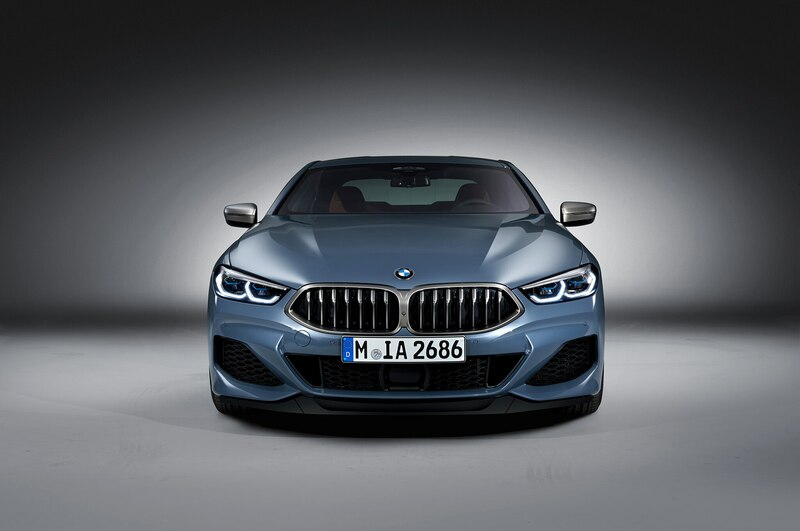 At launch, the model will be available in the M850i xDrive variant. 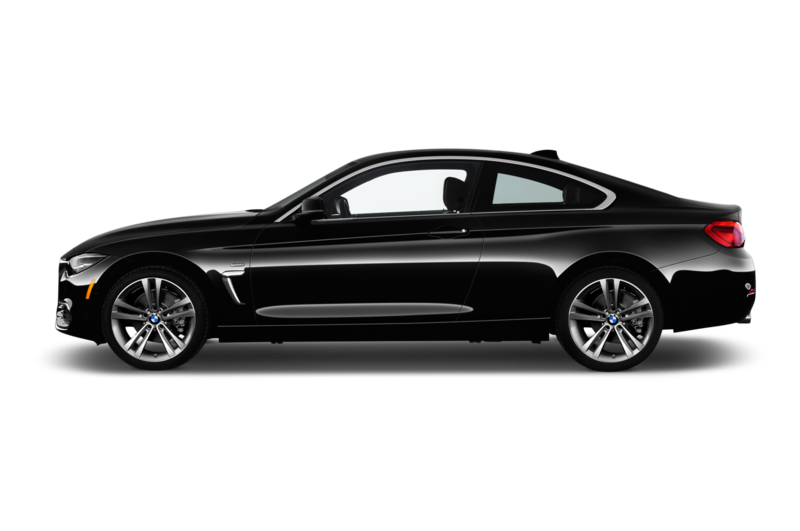 Equipped with a revised 4.4-liter twin-turbo V-8 engine, the comely coupe produces 523 hp and 553 lb-ft of torque. 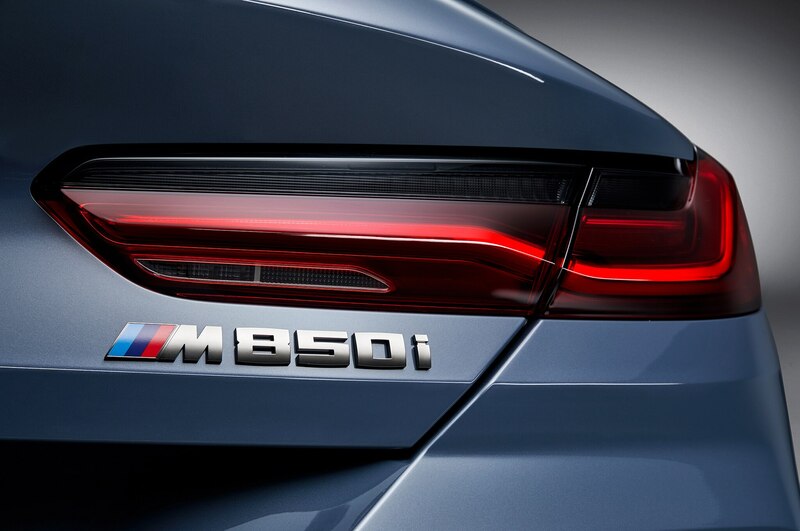 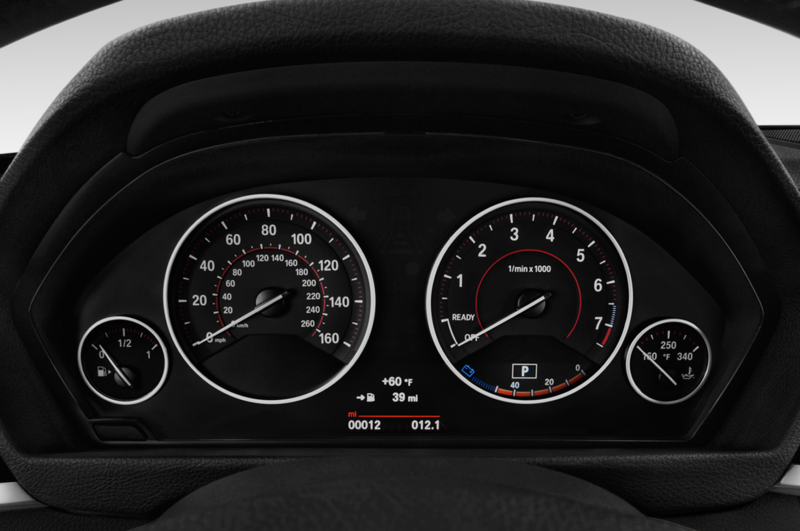 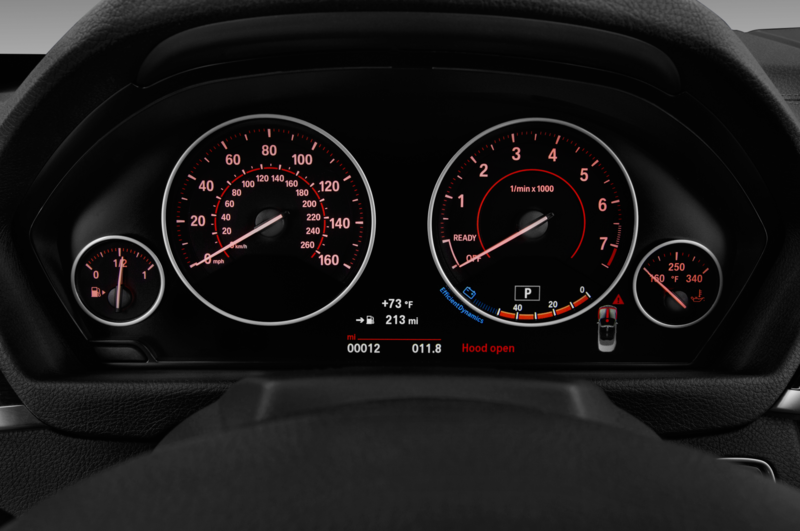 BMW claims it can hit 60 mph in 3.6 seconds, meaning it should be significantly quicker than a V-8-powered 7 Series. 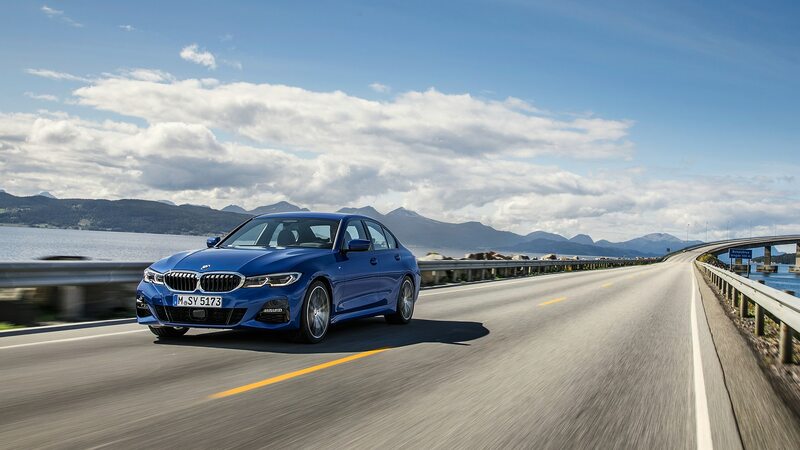 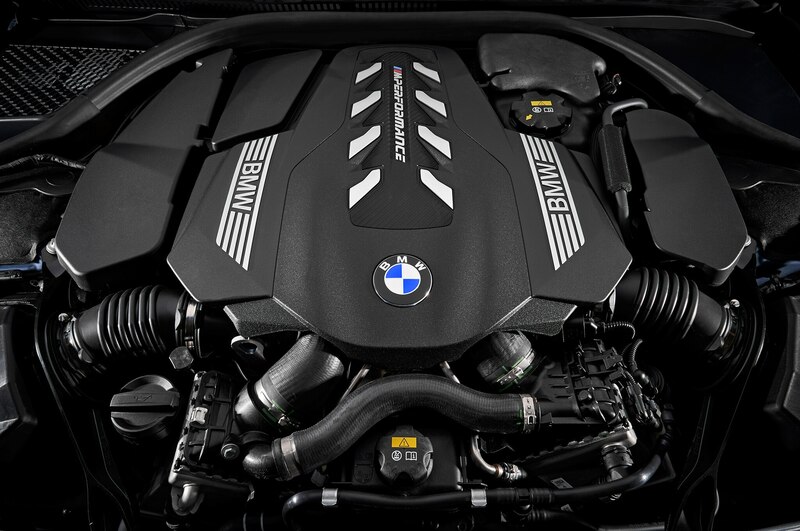 We tested a 7 Series with the 445-hp twin-turbo V-8 reaching 60 mph in 4.3 seconds. 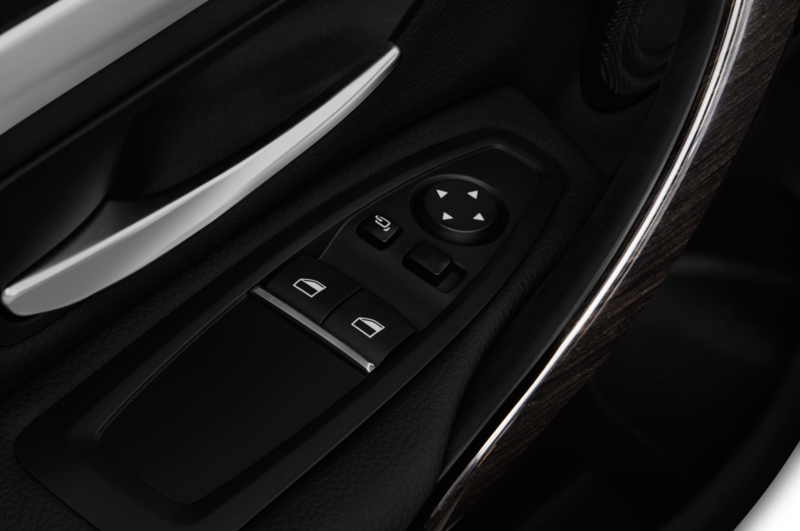 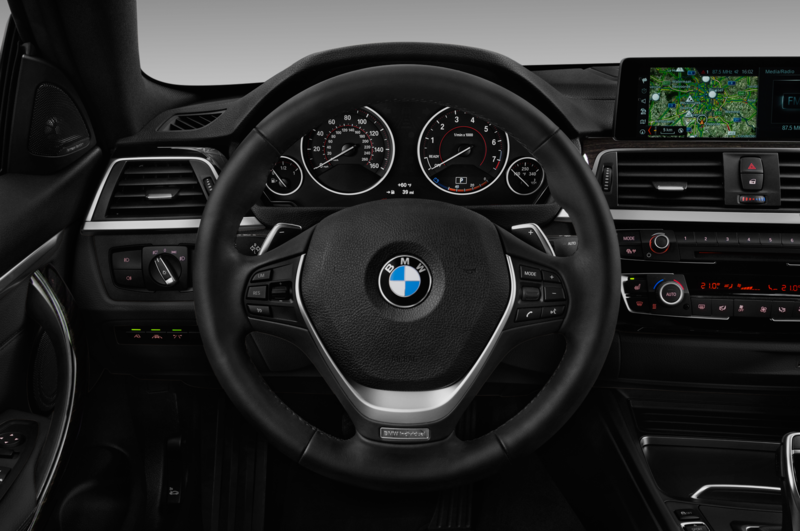 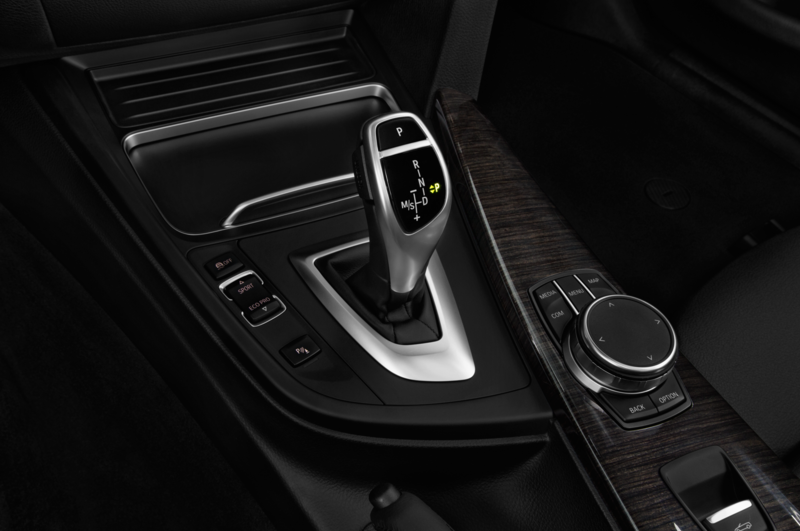 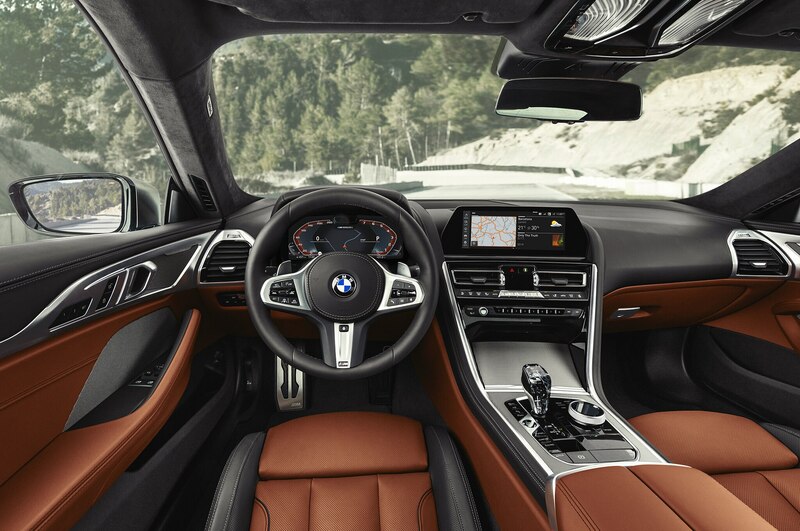 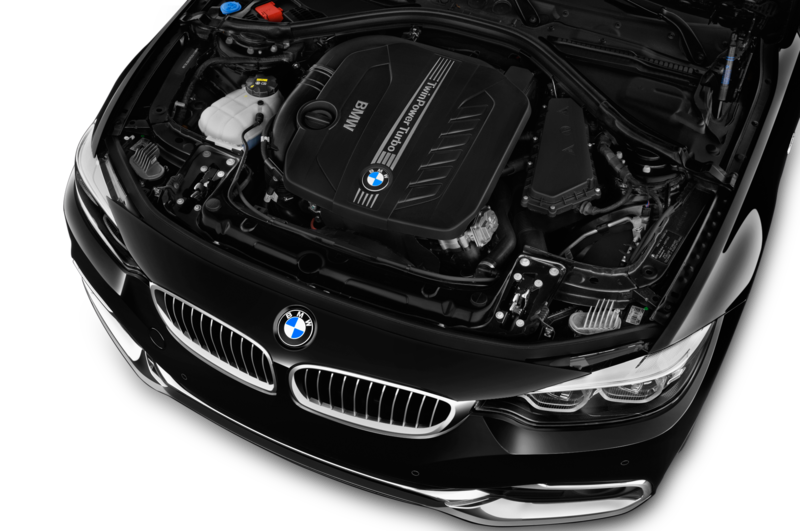 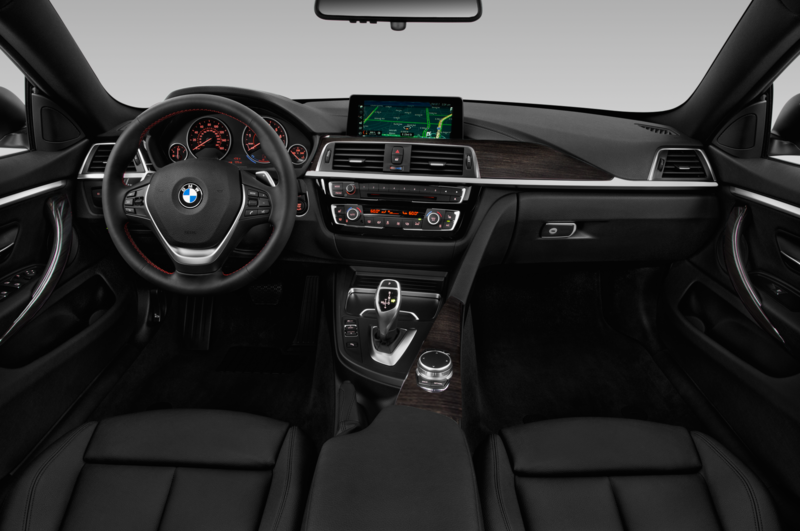 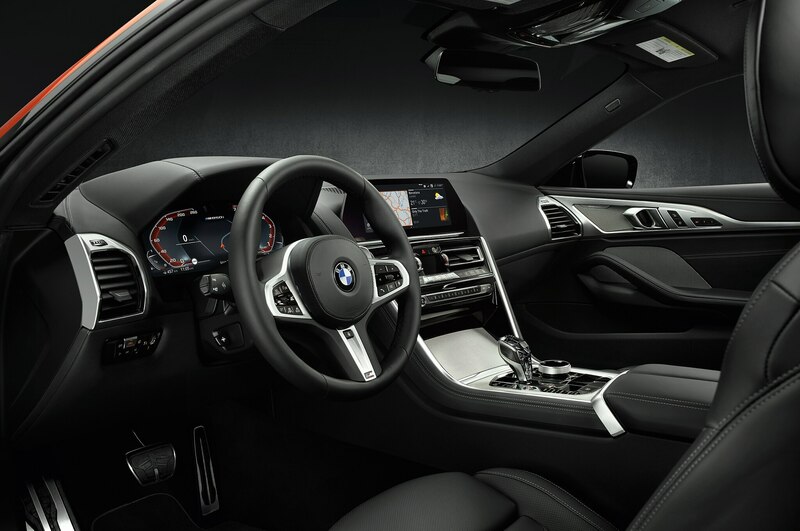 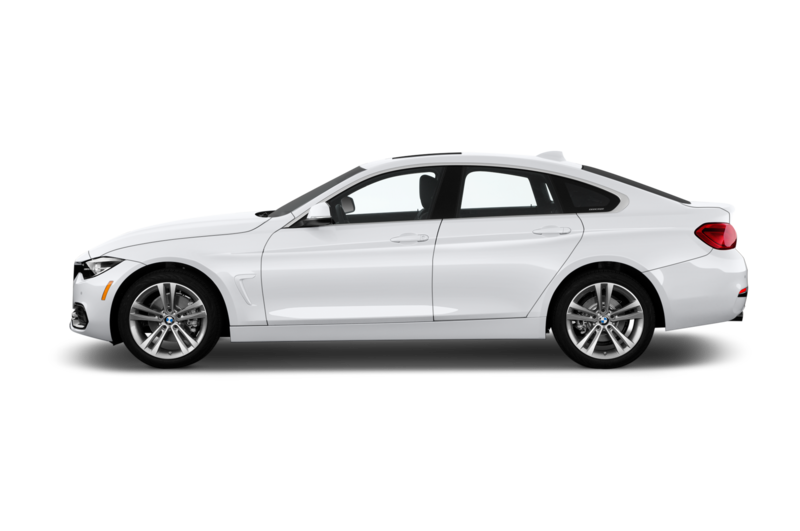 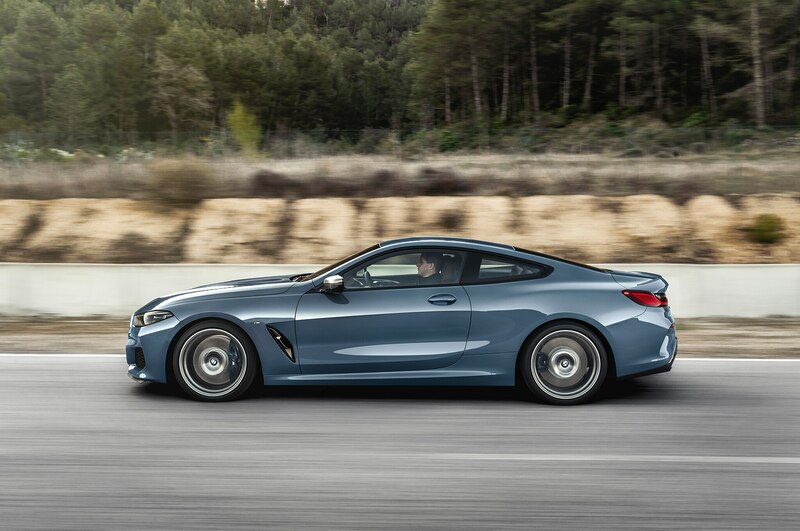 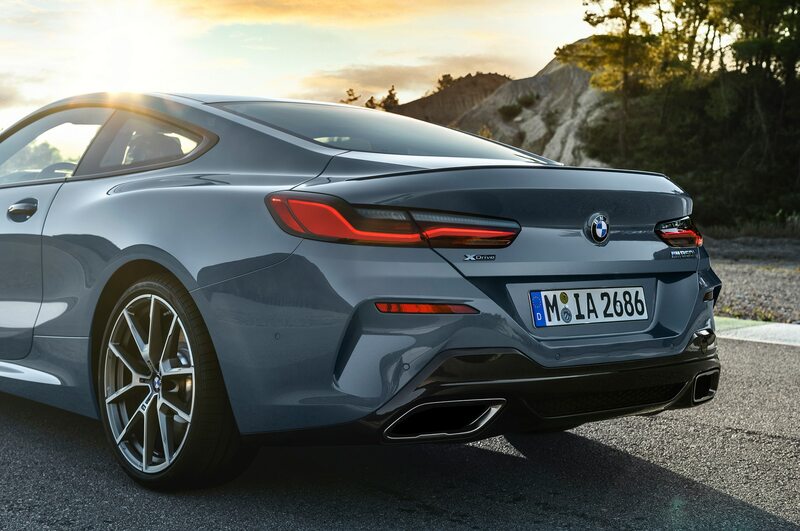 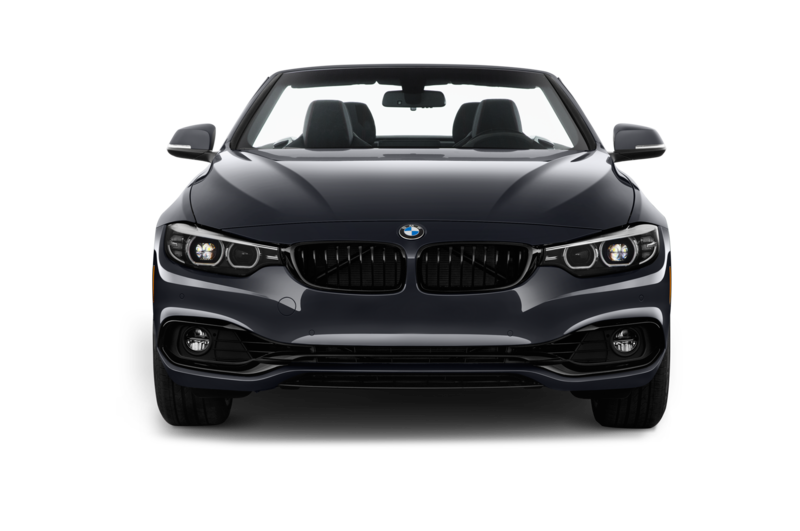 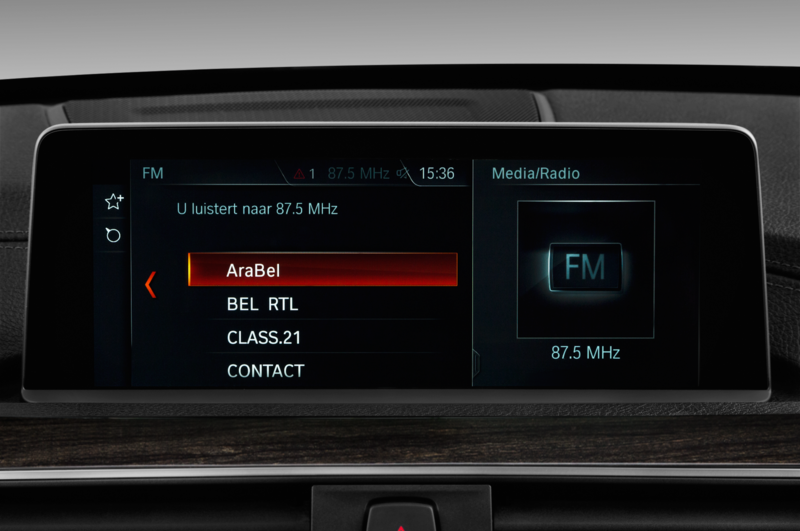 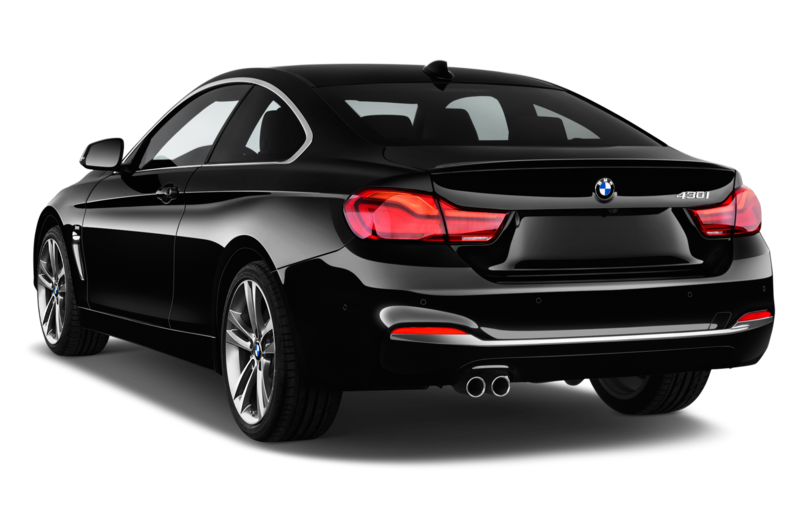 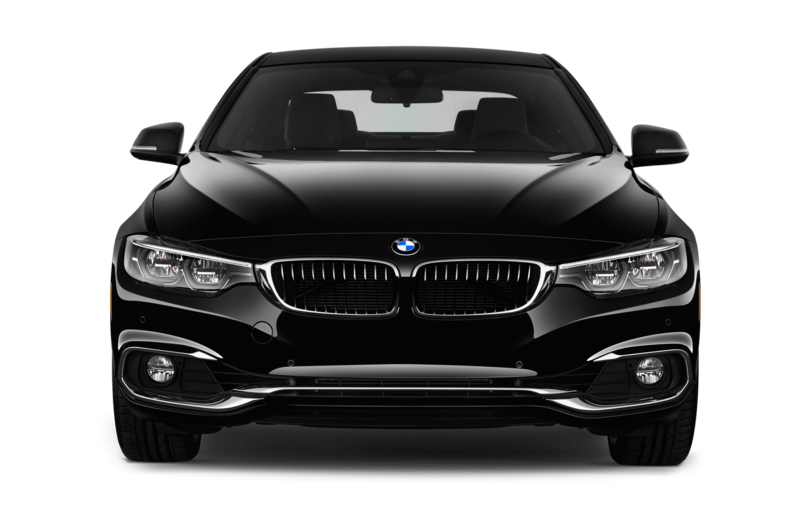 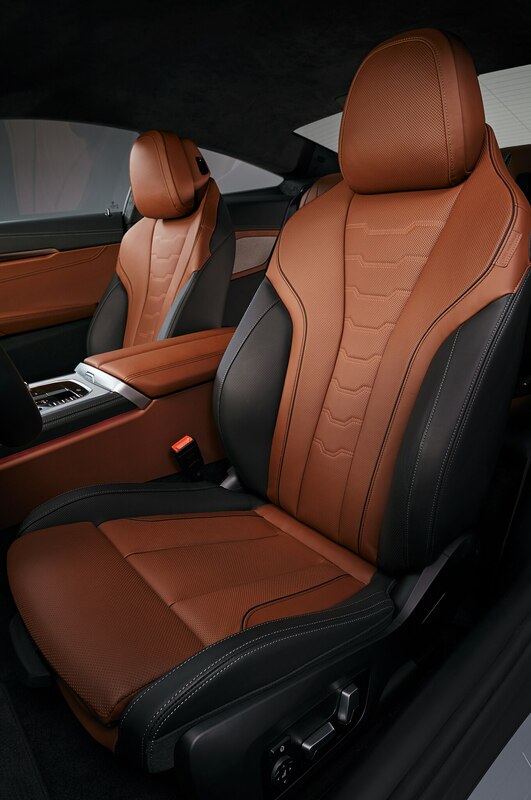 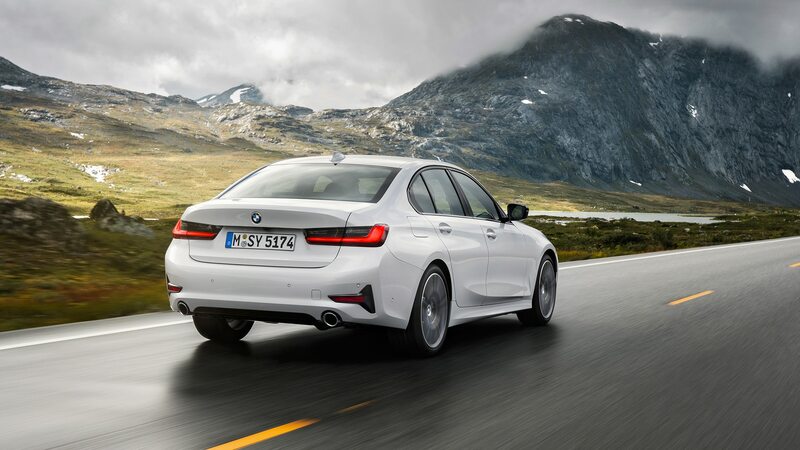 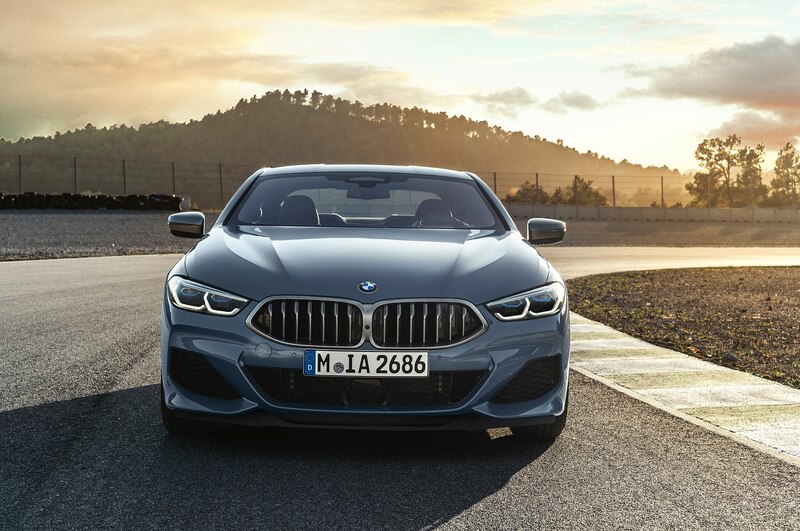 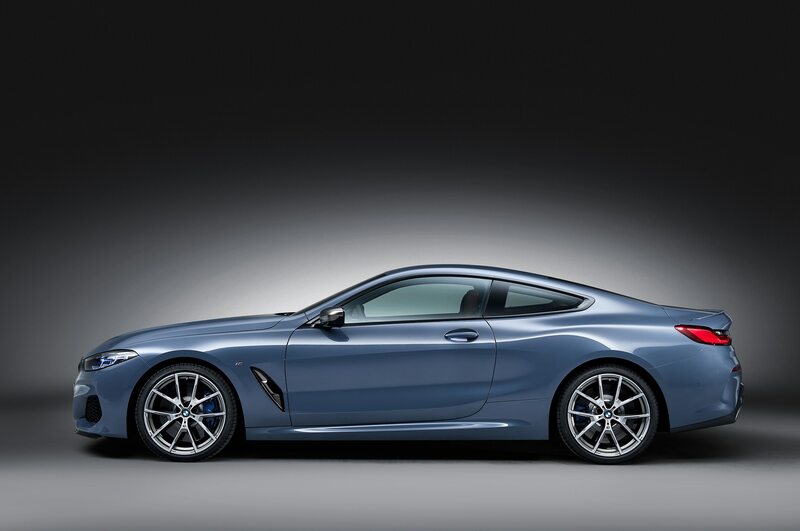 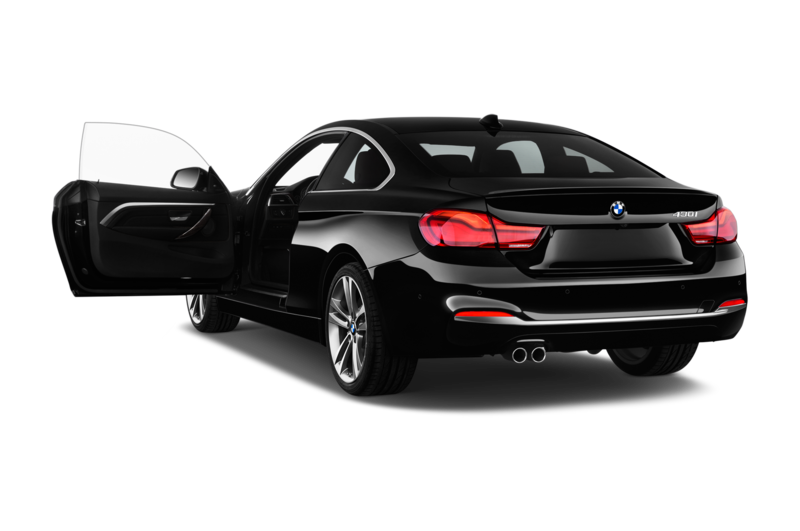 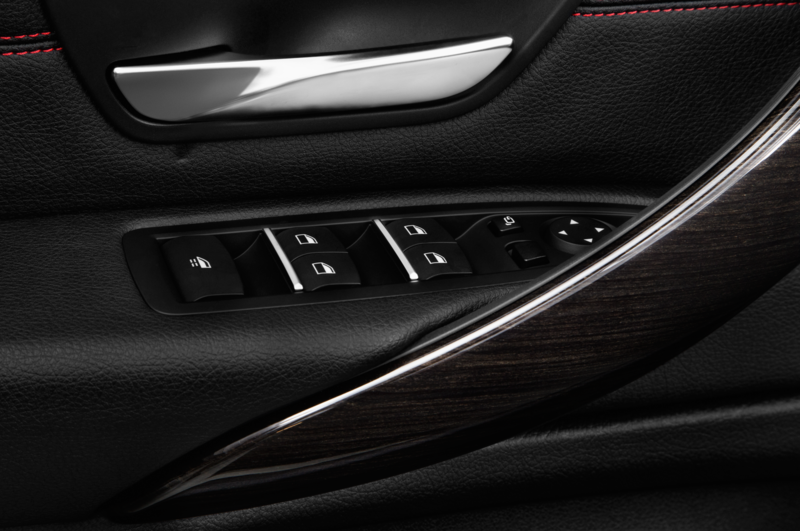 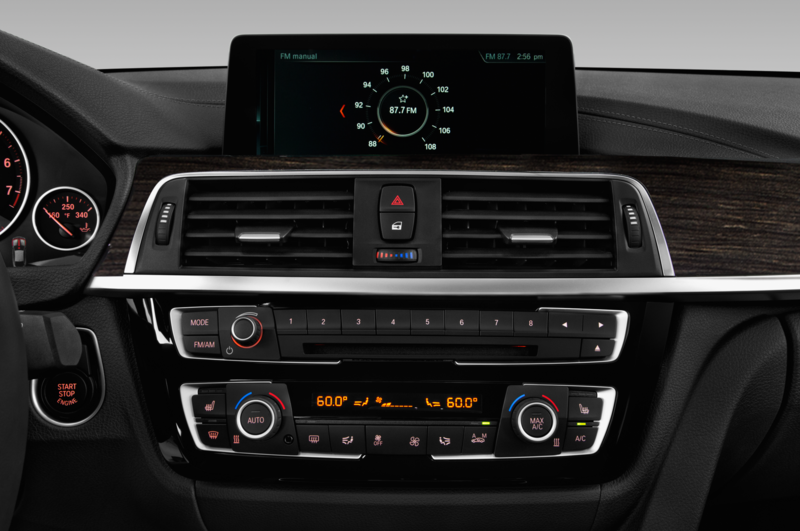 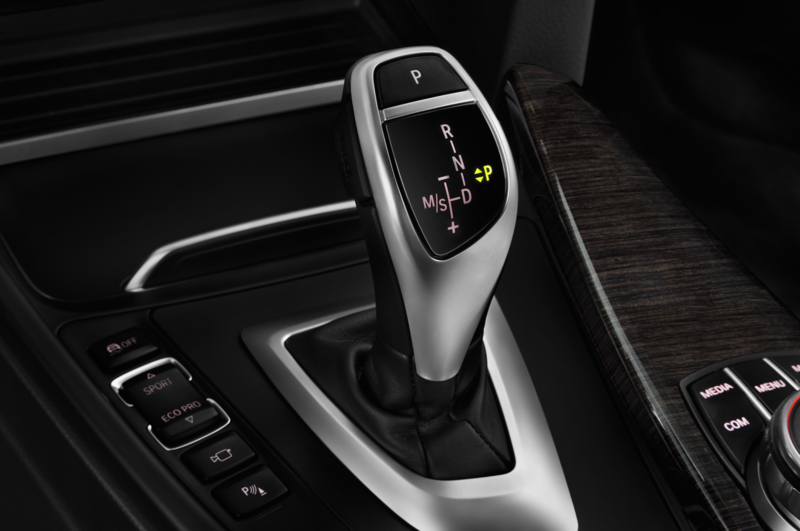 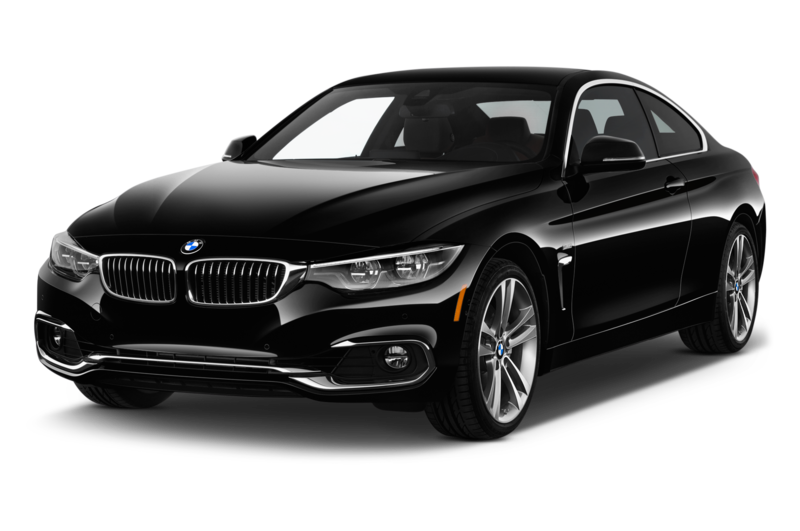 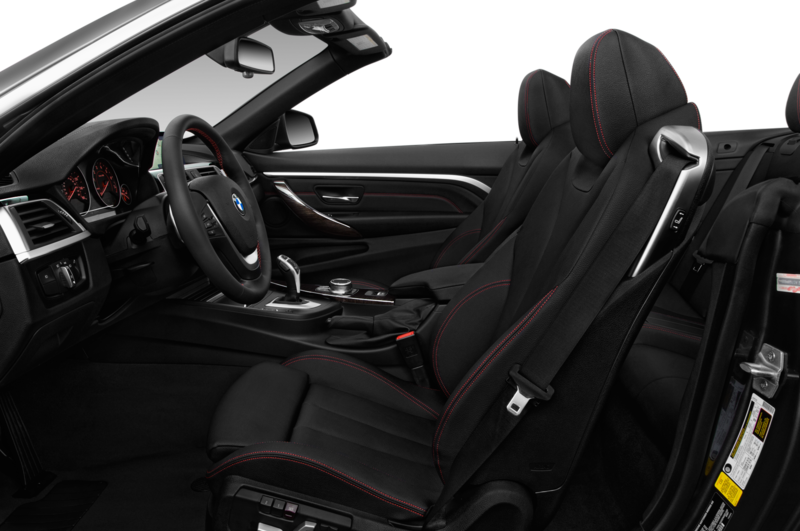 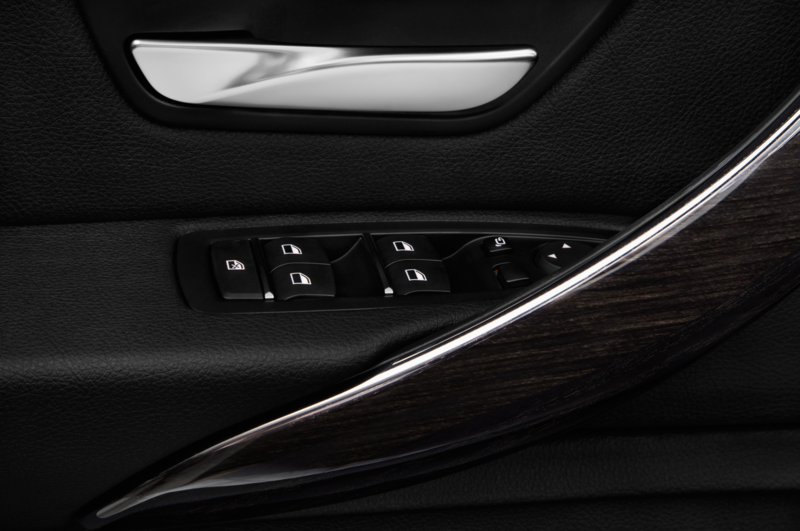 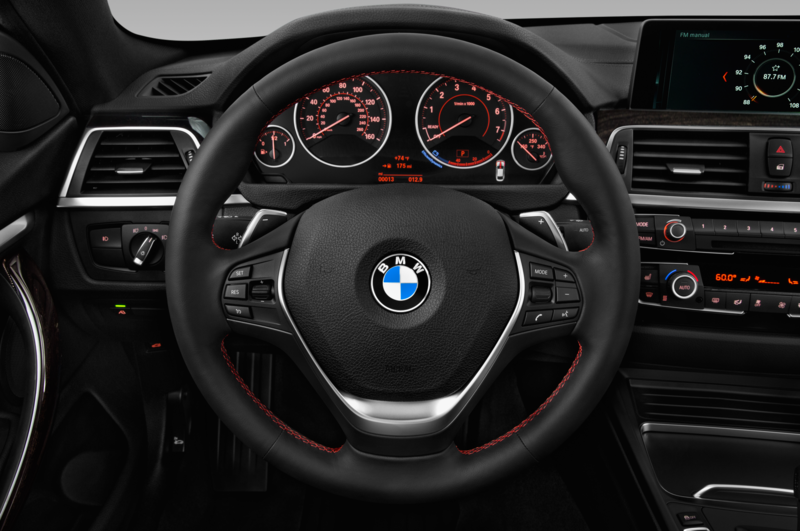 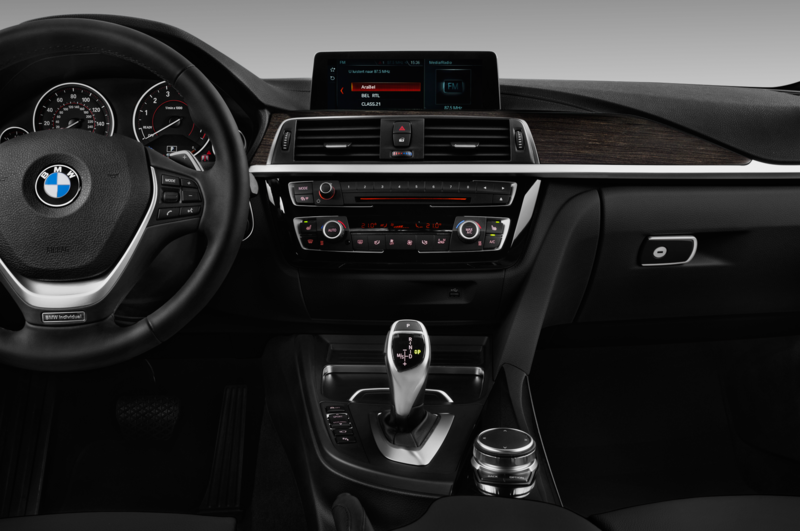 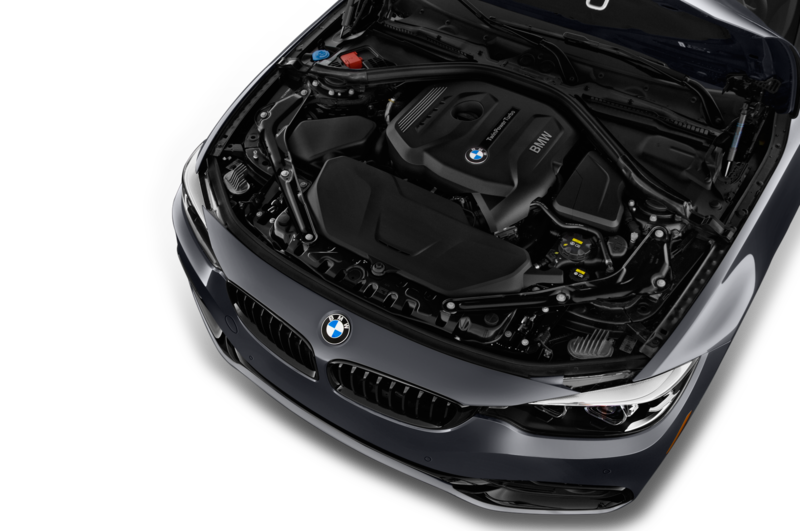 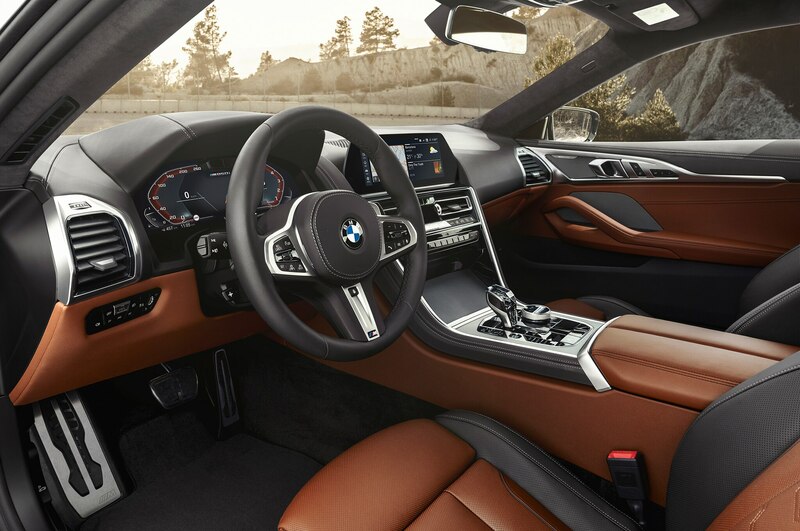 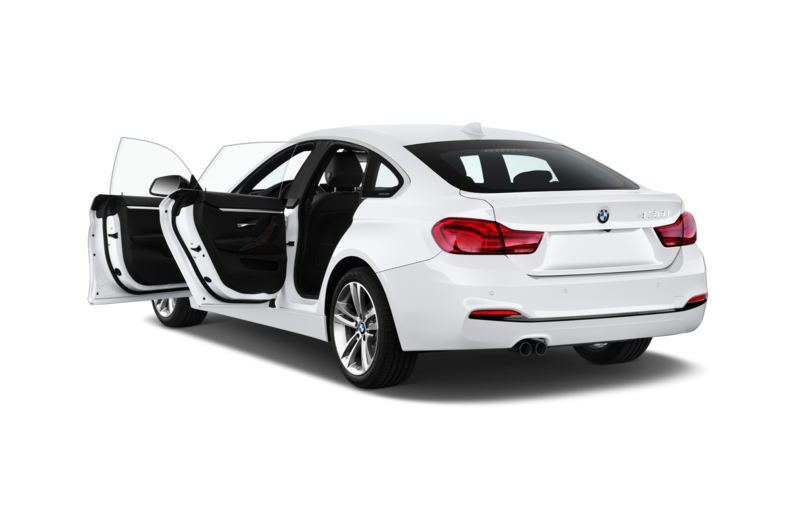 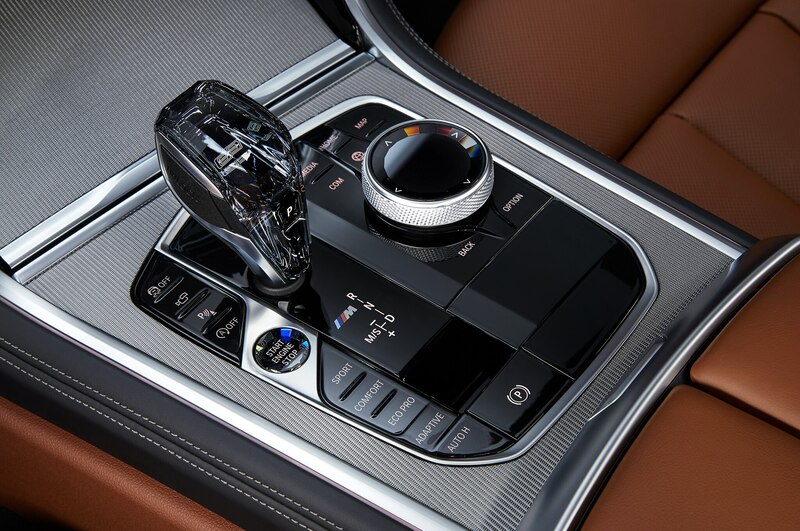 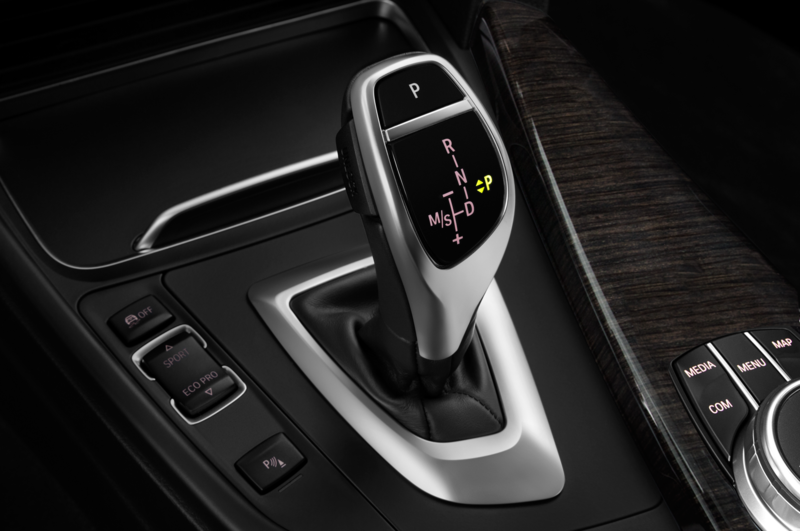 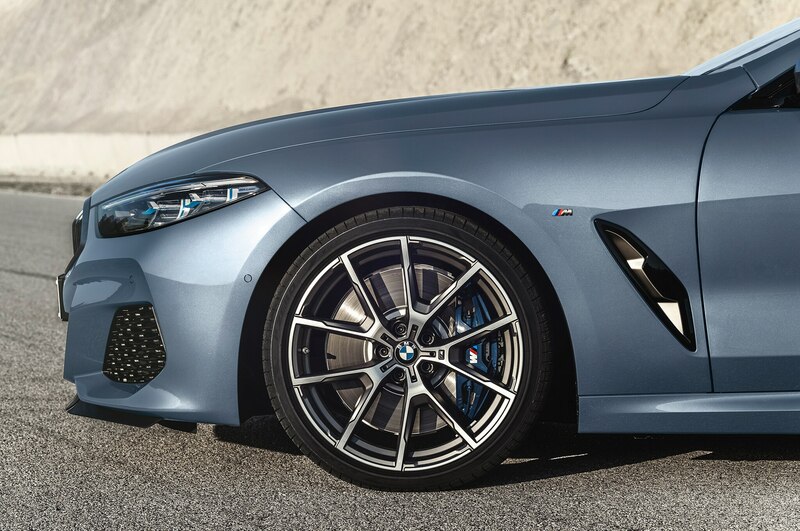 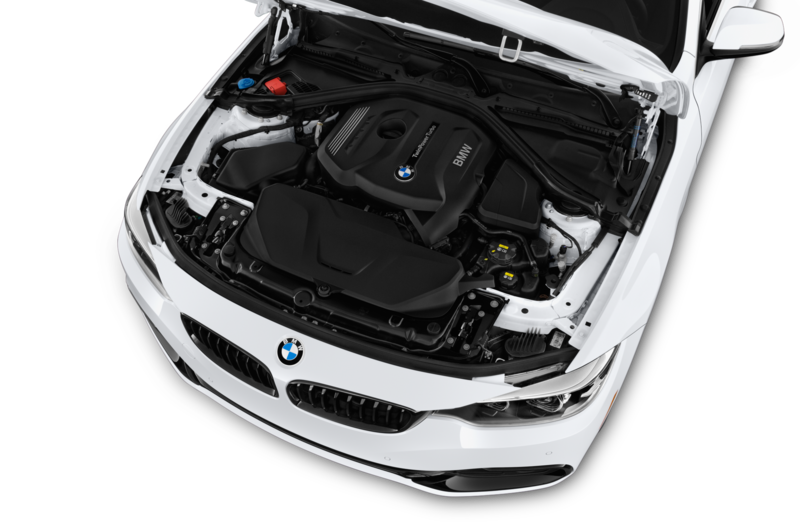 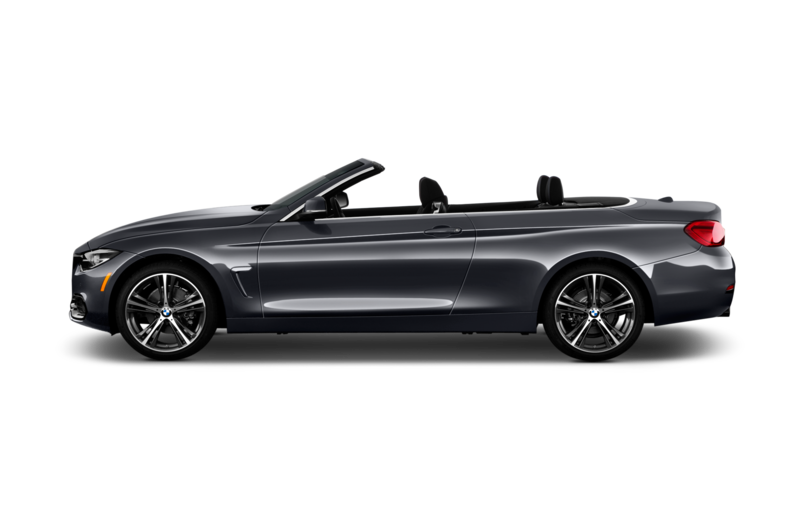 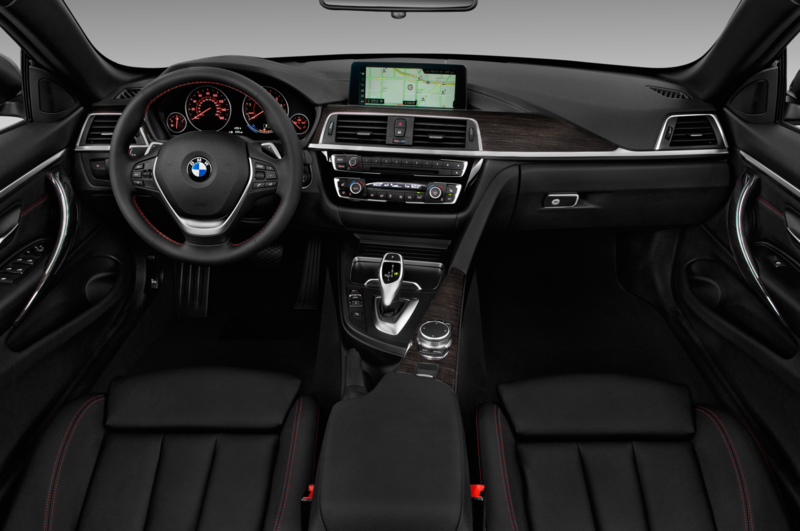 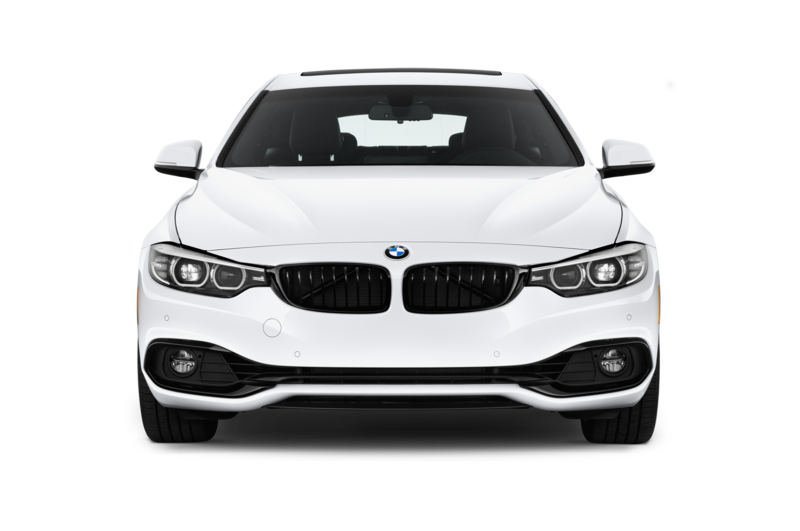 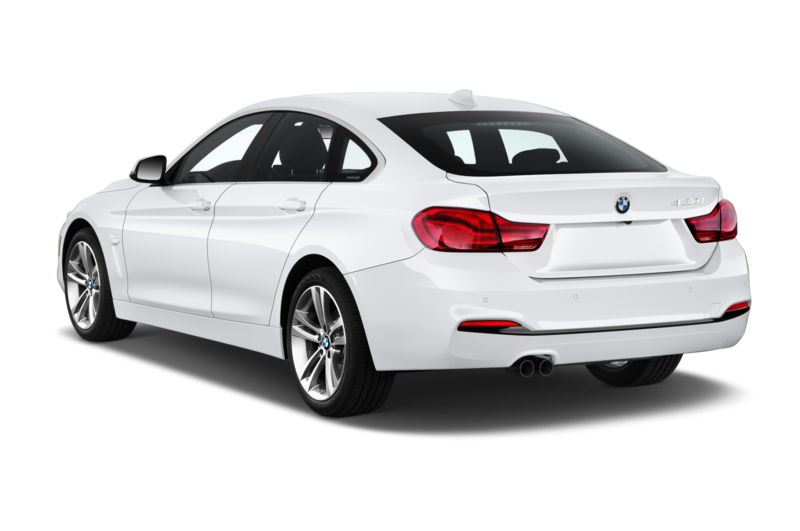 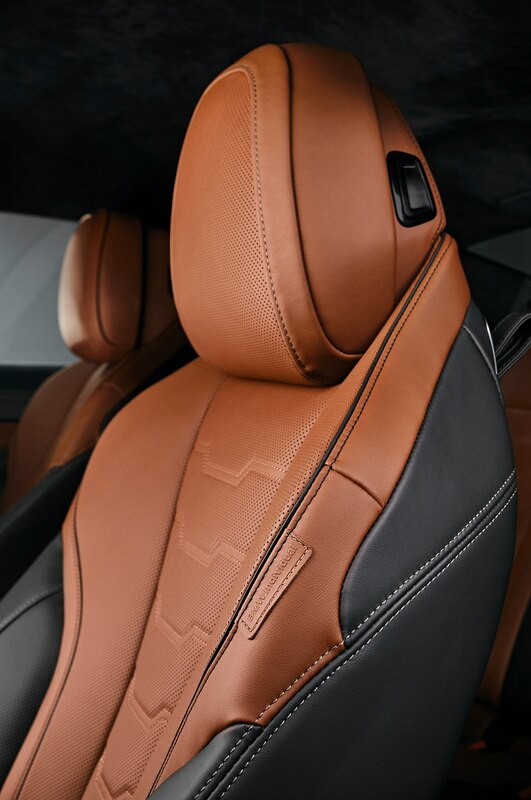 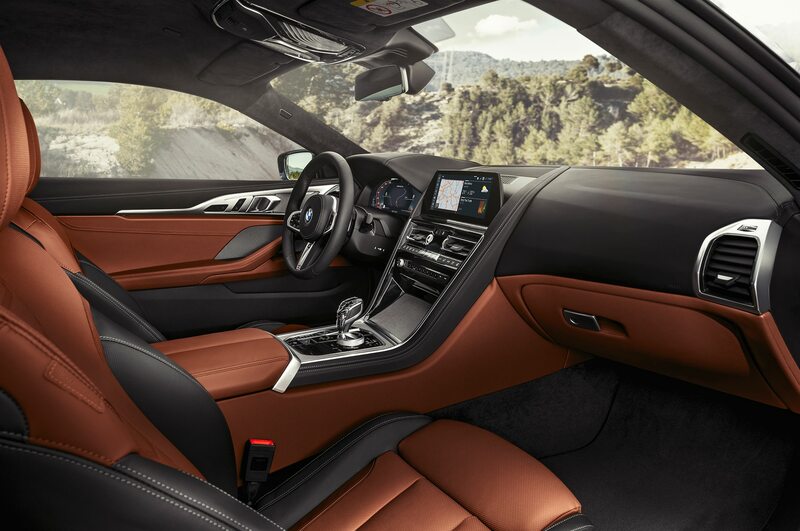 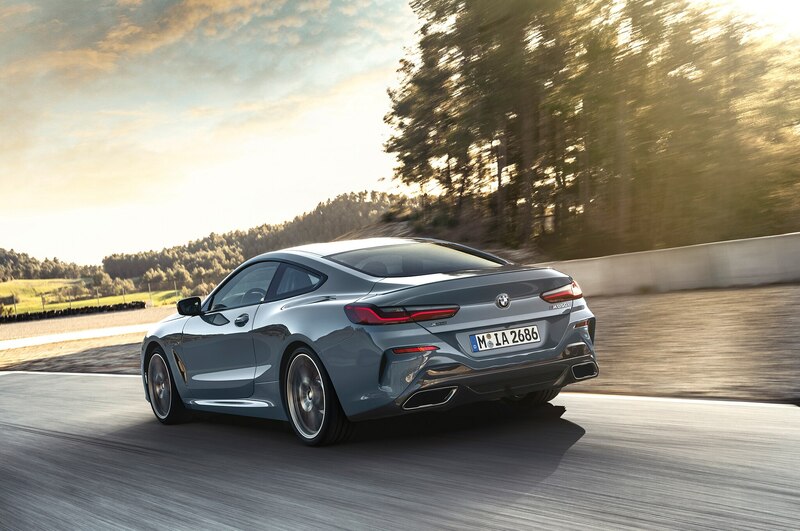 The 8 Series utilizes an eight-speed automatic gearbox that has been enhanced with a wider gear ratio. 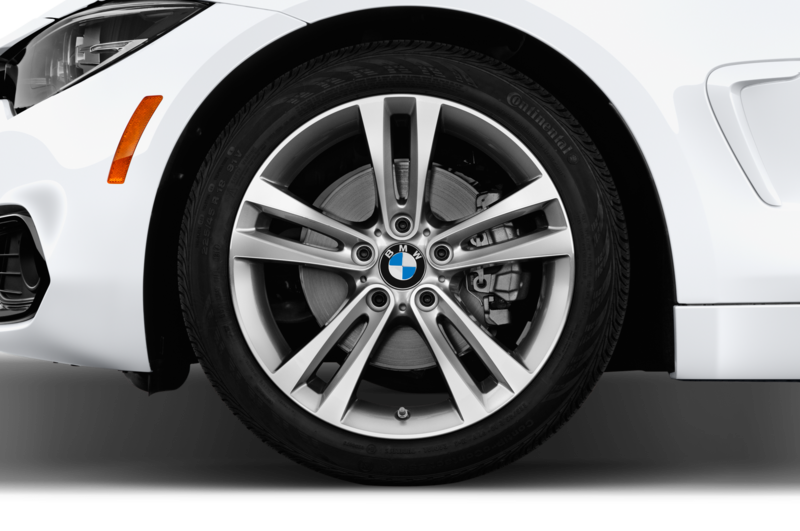 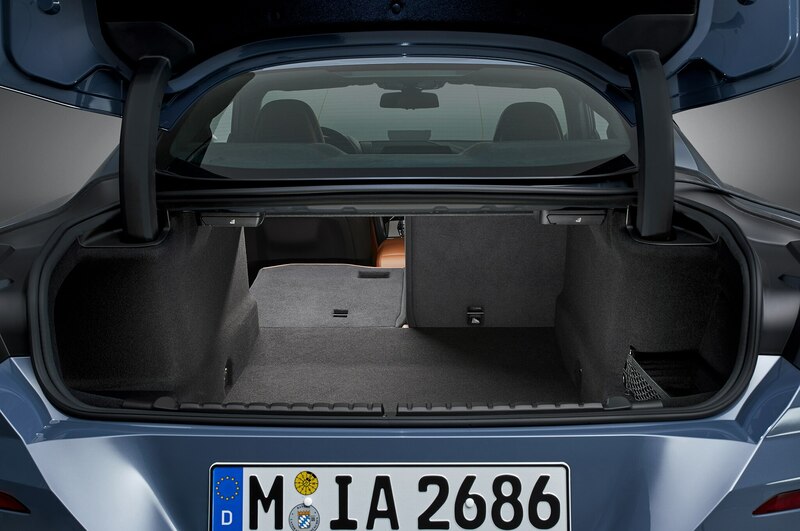 This feature works in conjunction with an all-wheel-drive system that has a rear-wheel bias. 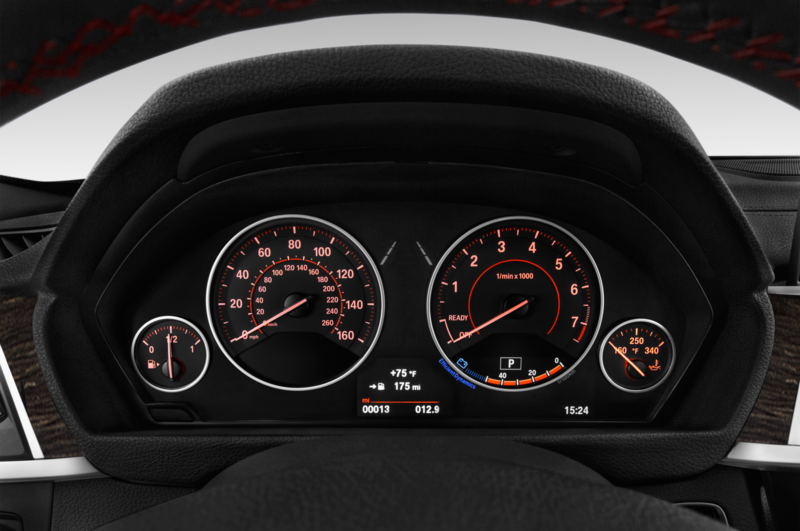 Top speed is 155 mph. 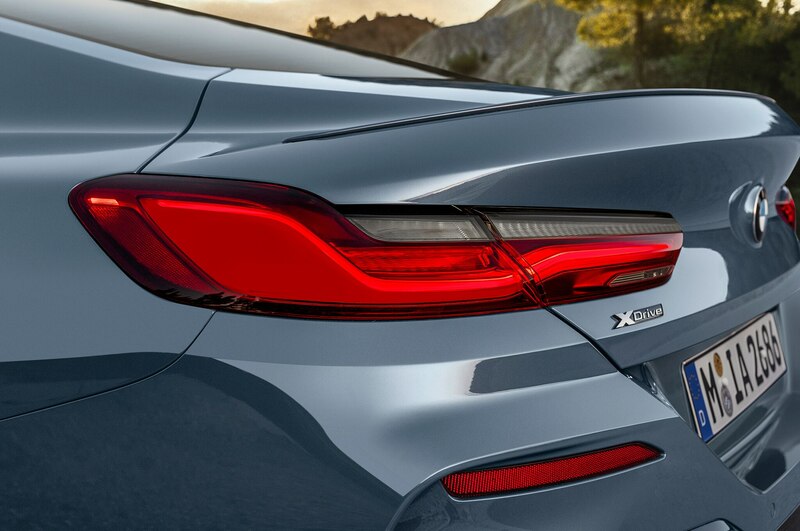 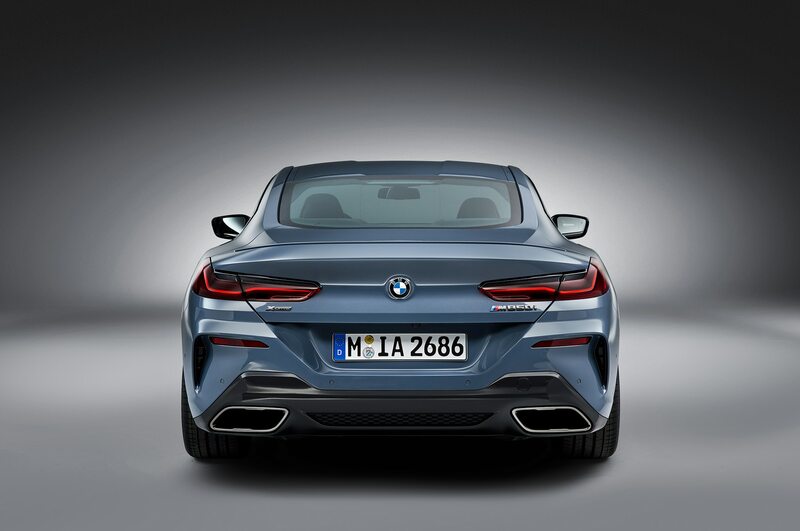 The 8 Series comes in at a curb weight of 4,478 pounds, although BMW has made efforts to shed heft where it can. 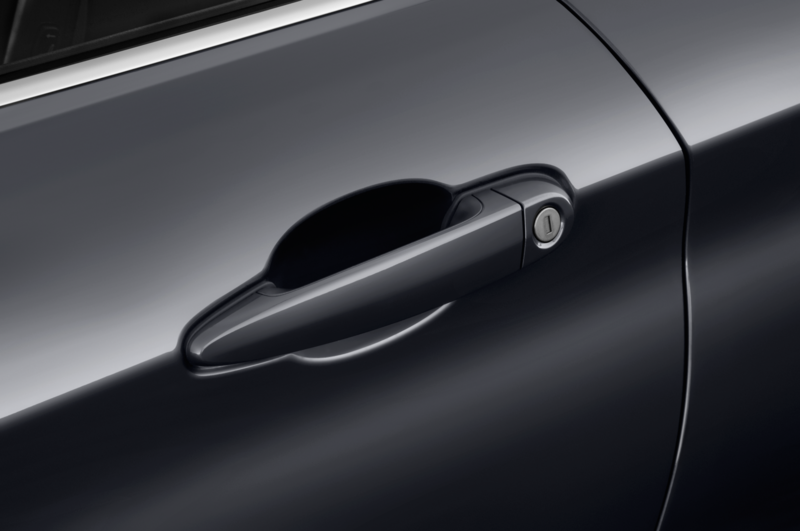 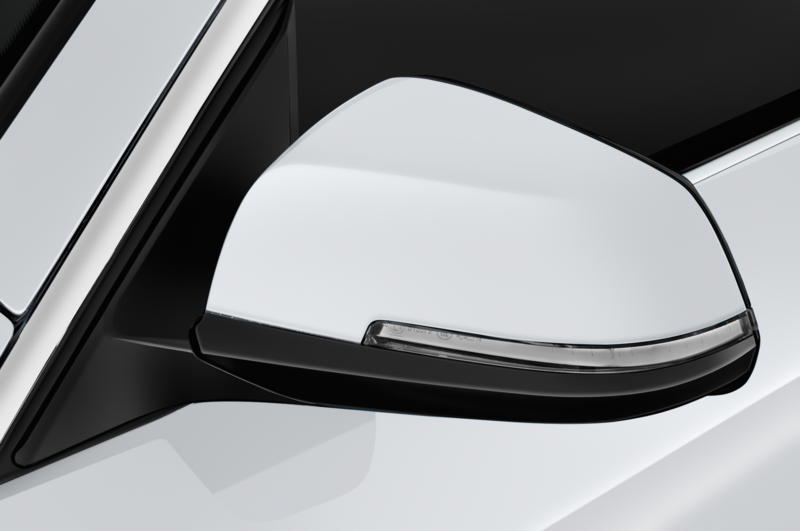 Many parts, including the doors and hood, are made of aluminum. 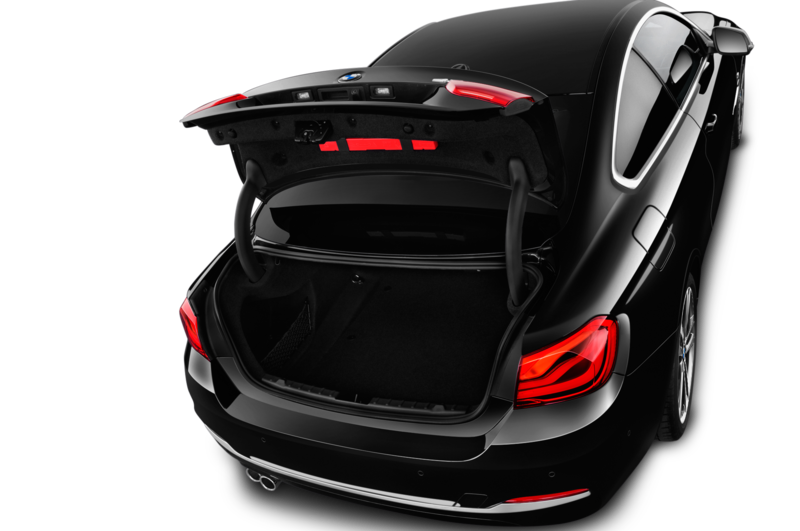 To reduce weight, buyers can opt for a carbon-fiber-reinforced plastic roof. 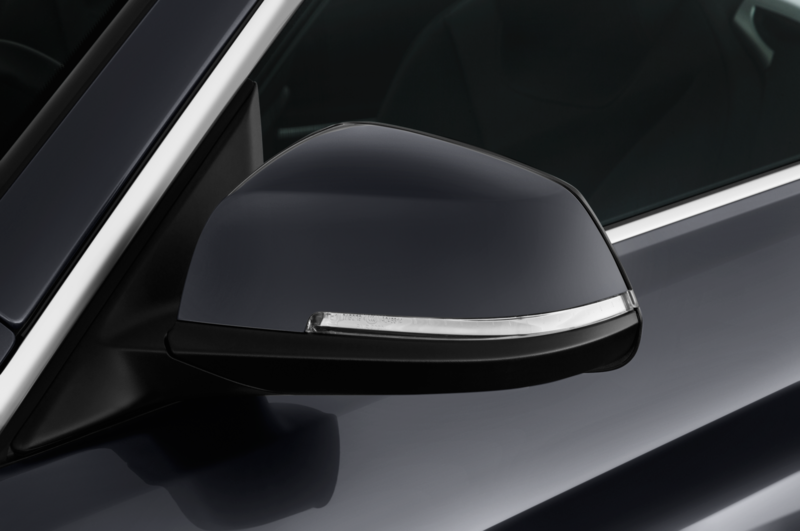 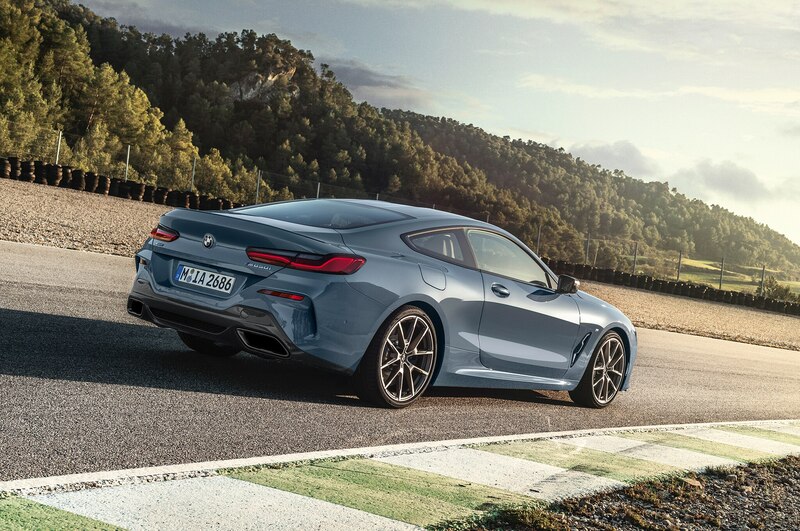 Or they can splurge for the optional Carbon package, in which the rear spoiler, rear diffuser insert, air intake bars, and exterior mirror caps are made of CFRP. 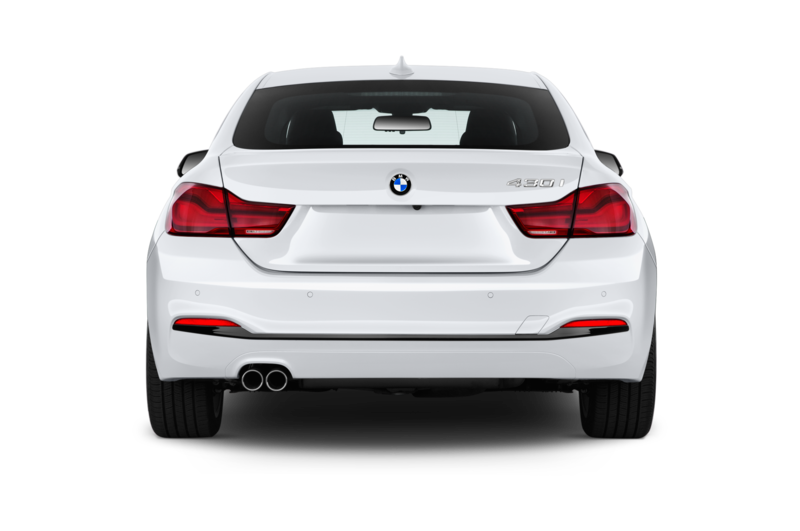 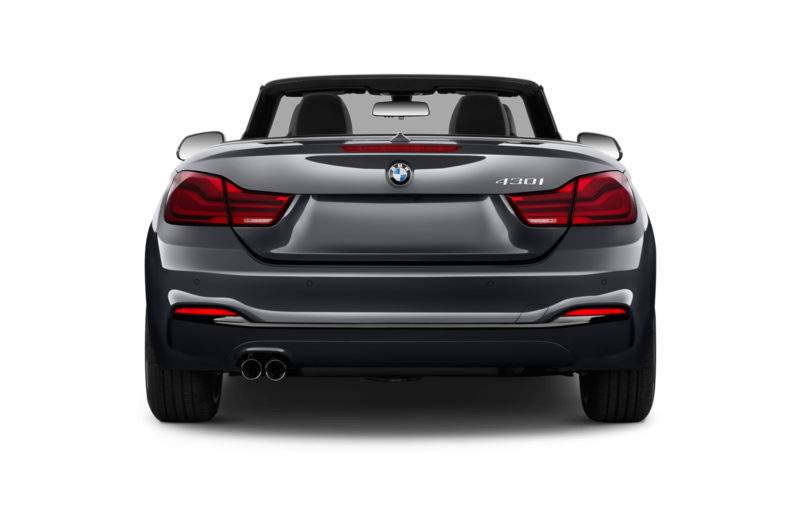 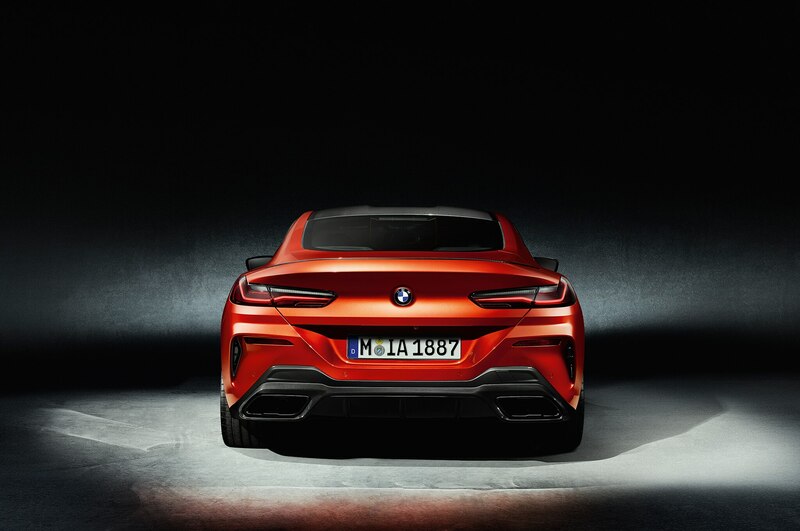 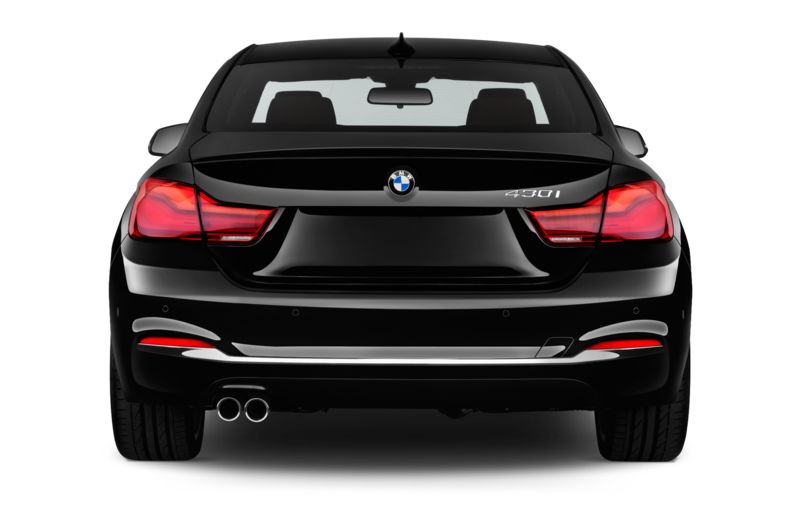 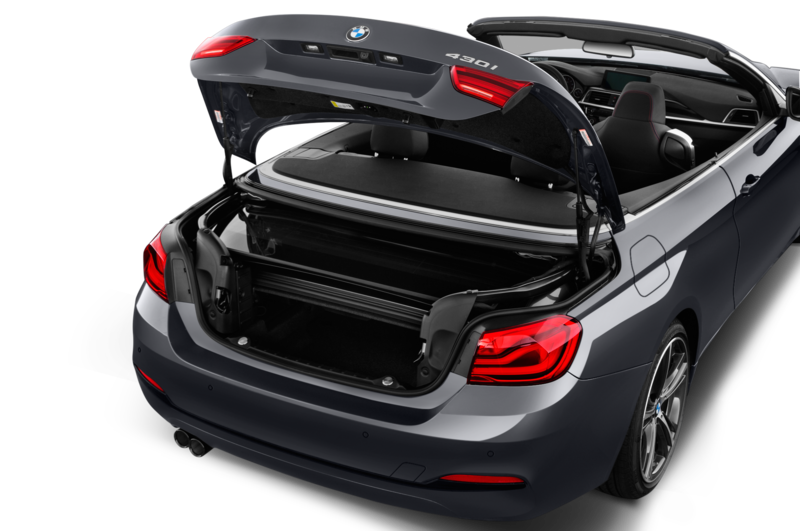 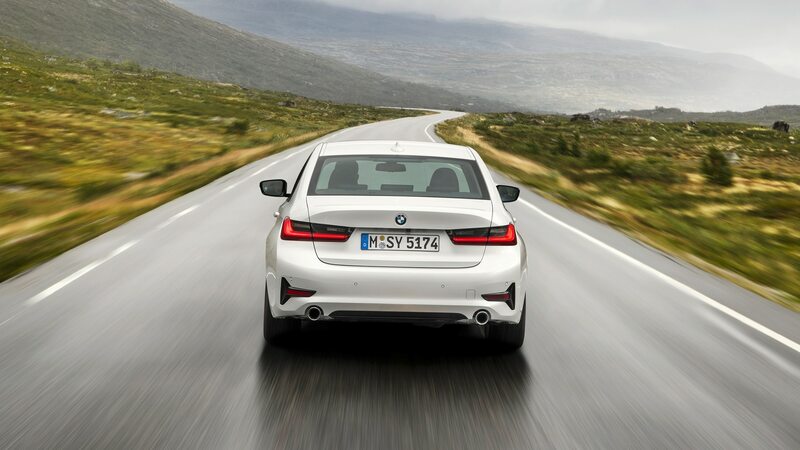 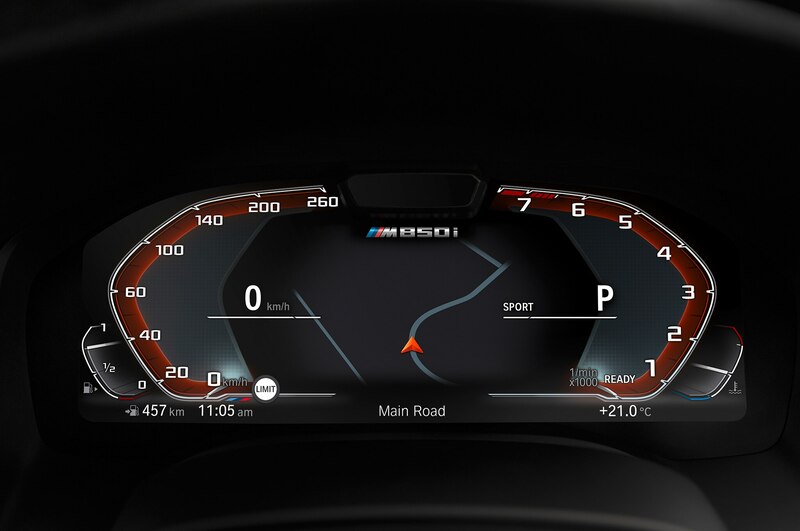 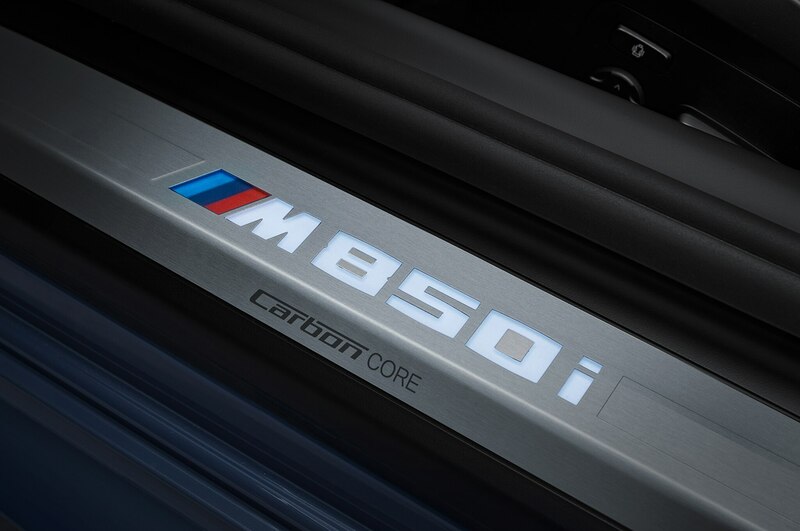 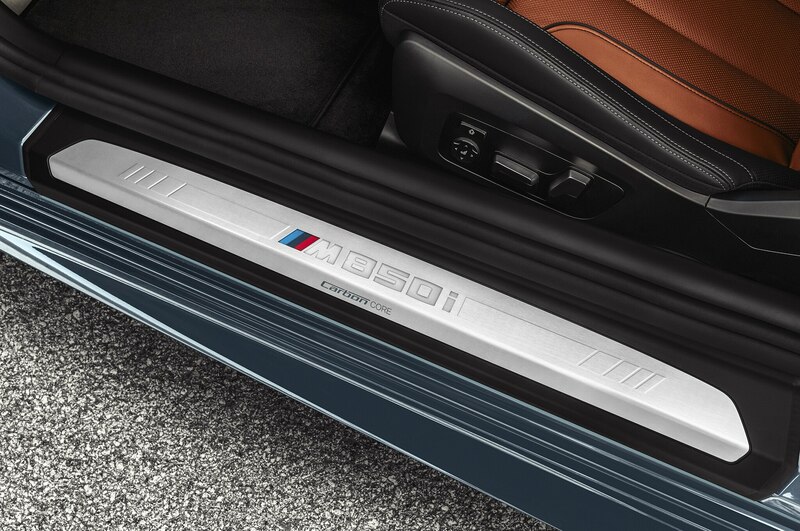 Because it’s an M Performance model, although not a full M vehicle, the car boasts features befitting the title. 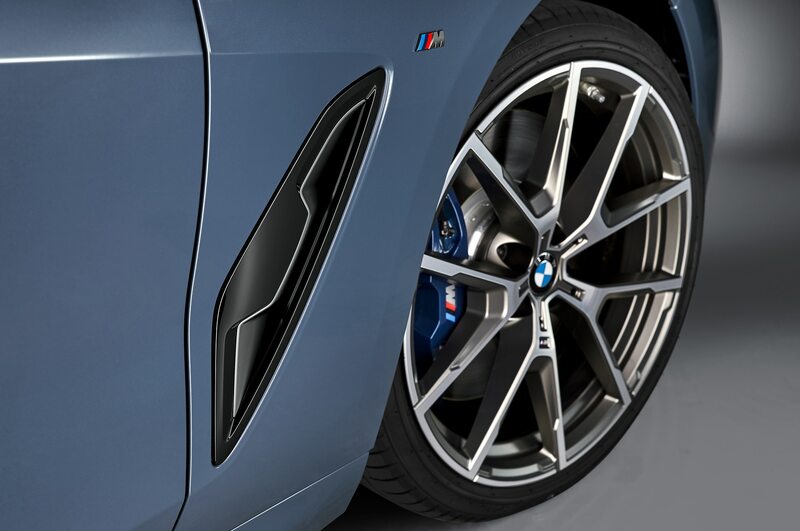 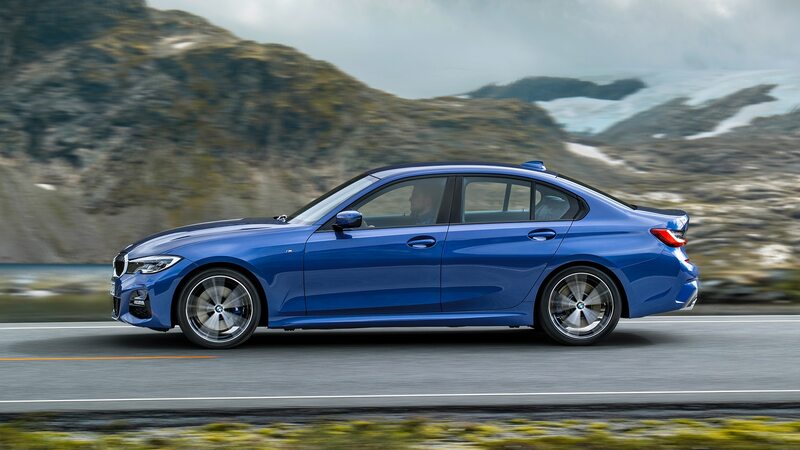 Other than the M wheels, it gets an Adaptive M suspension and M Sport brakes. 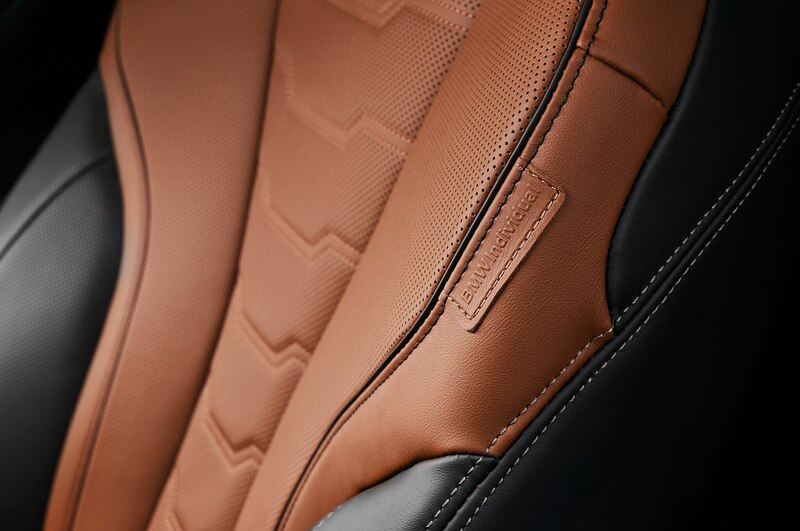 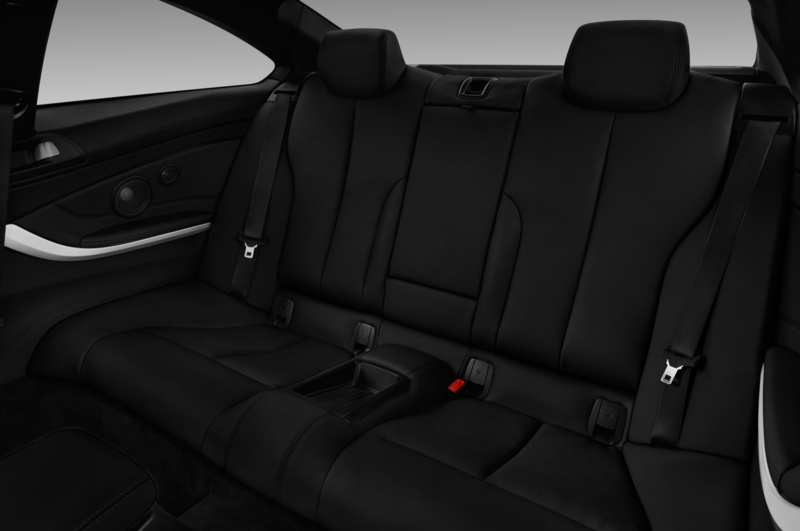 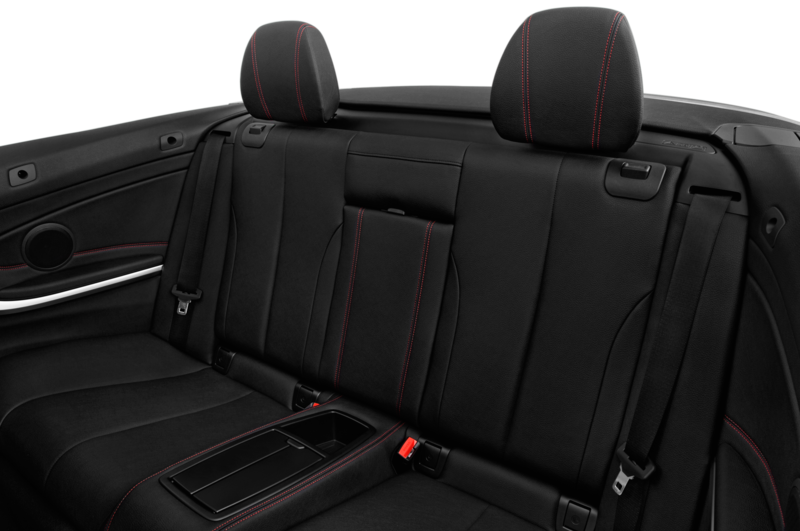 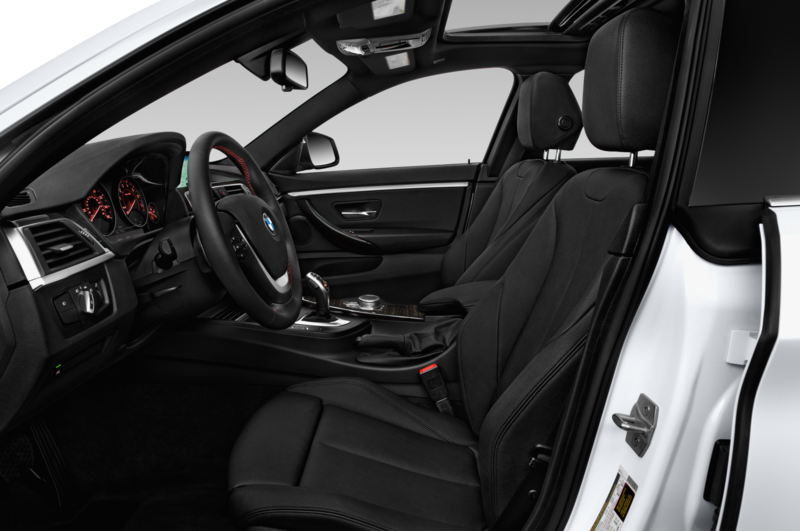 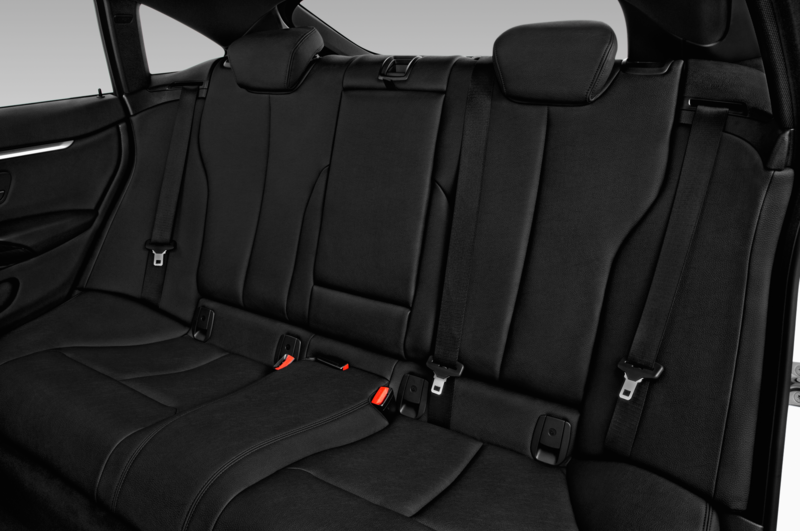 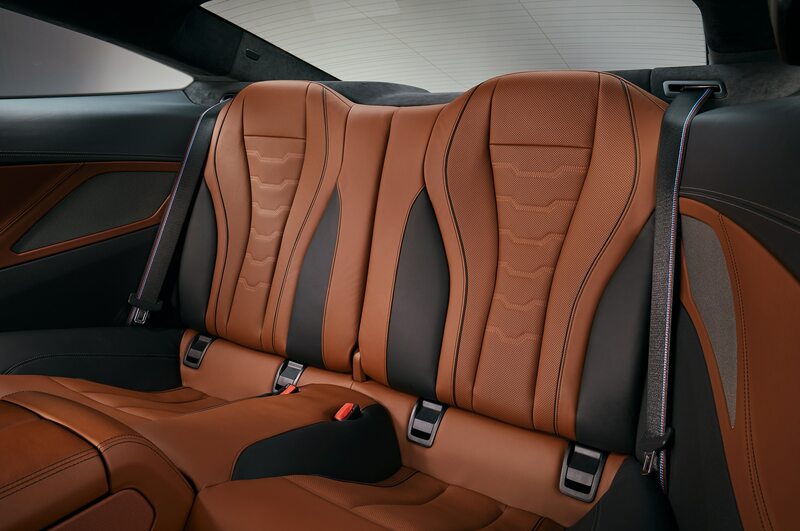 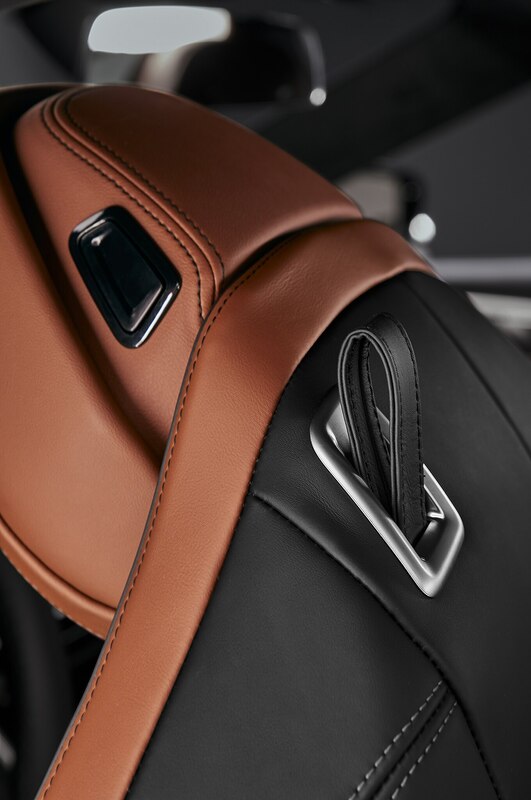 Inside the cabin, you’ll find standard Merino Individual leather upholstery and folding rear seats. 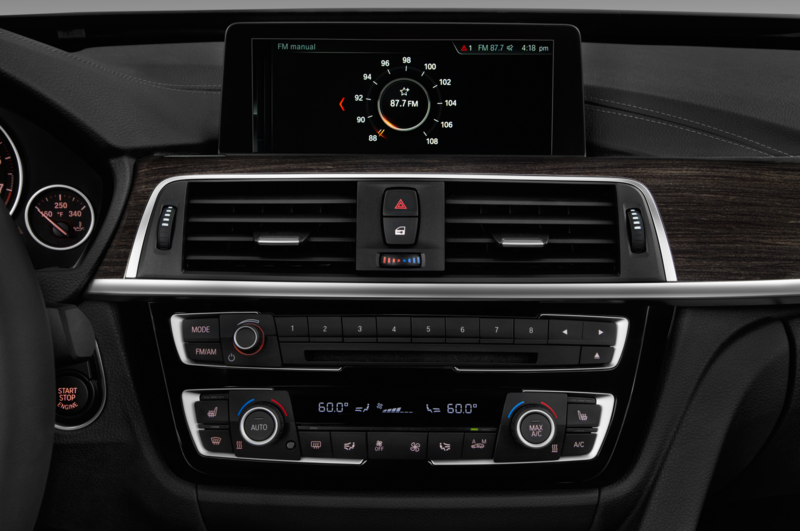 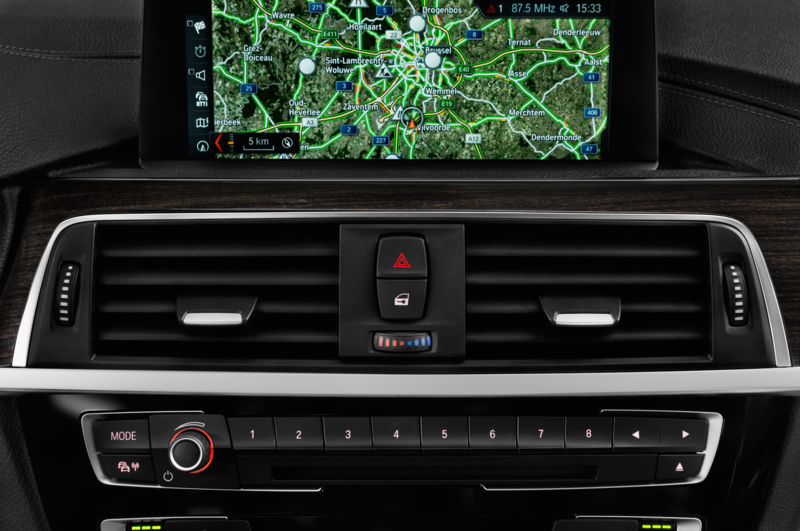 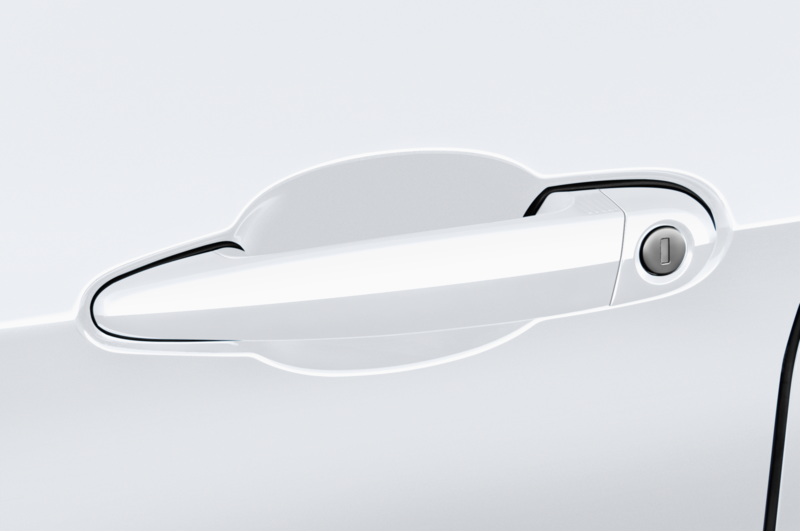 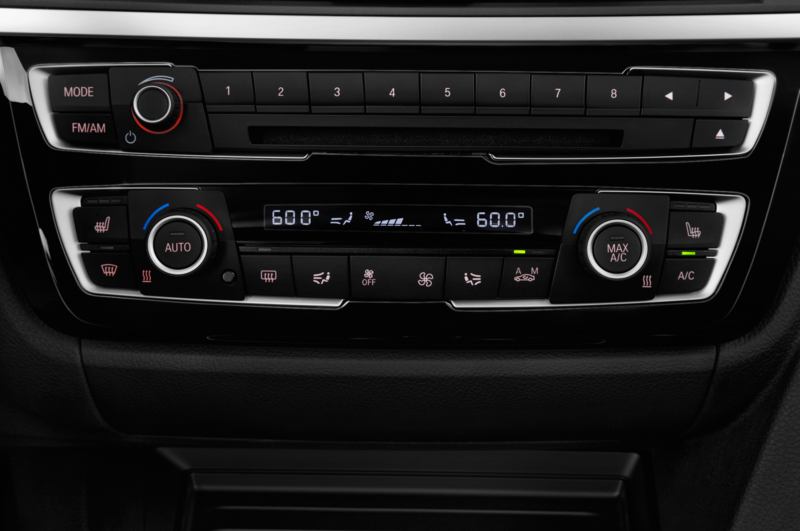 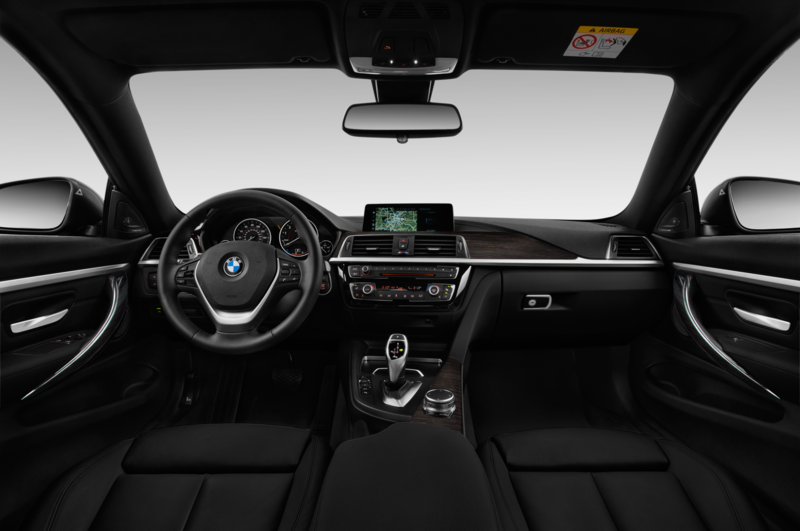 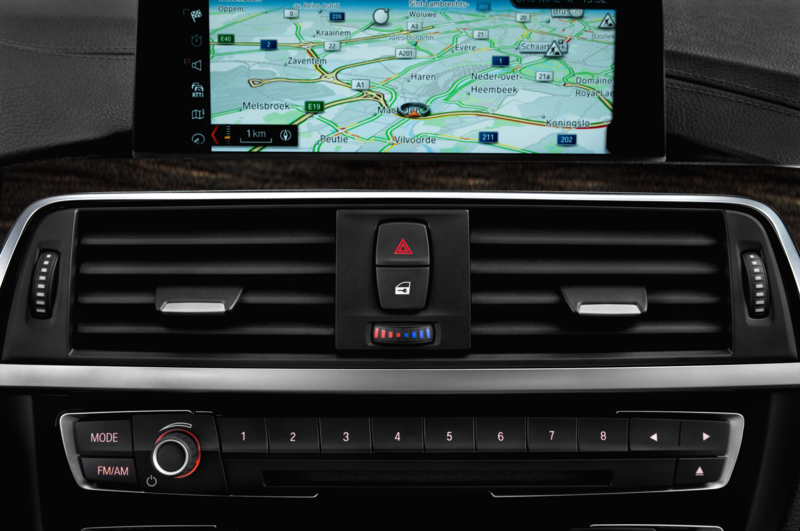 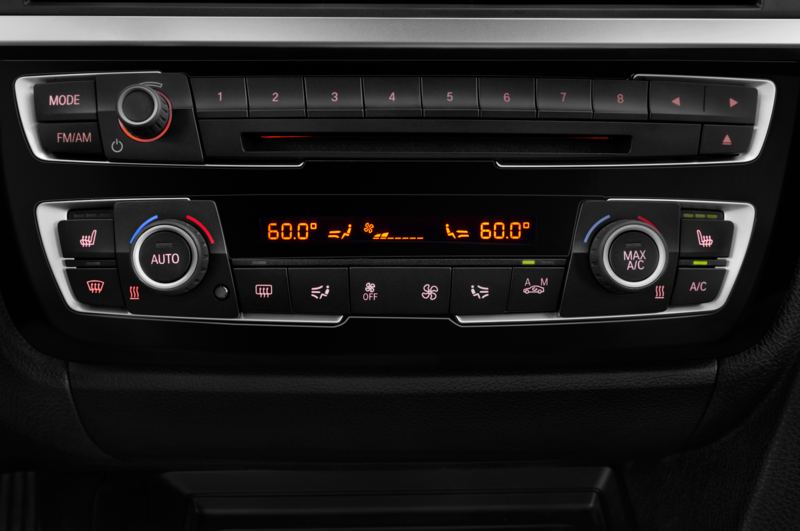 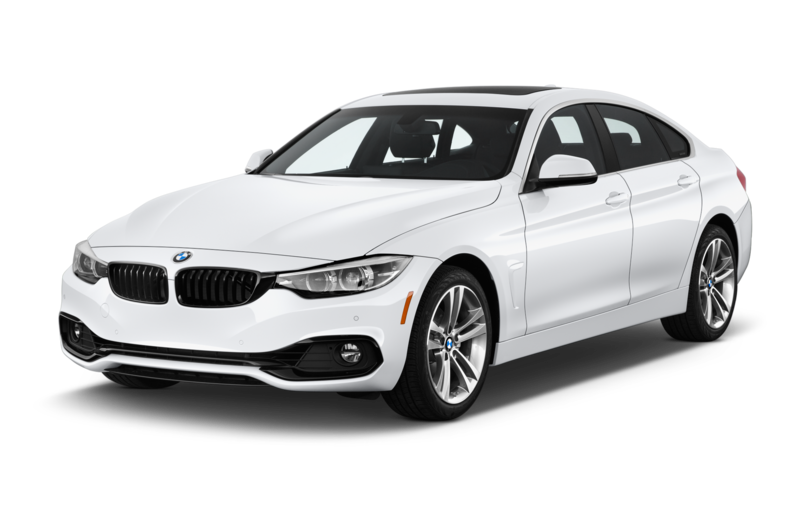 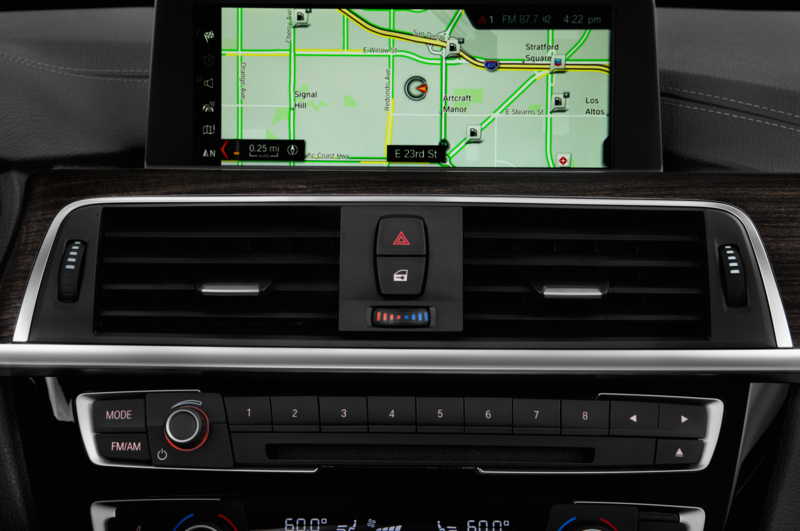 Other features include a standard head-up display, standard cruise control and optional stop and go functionality, standard parking assistant, standard gesture control, and standard ambient lighting. 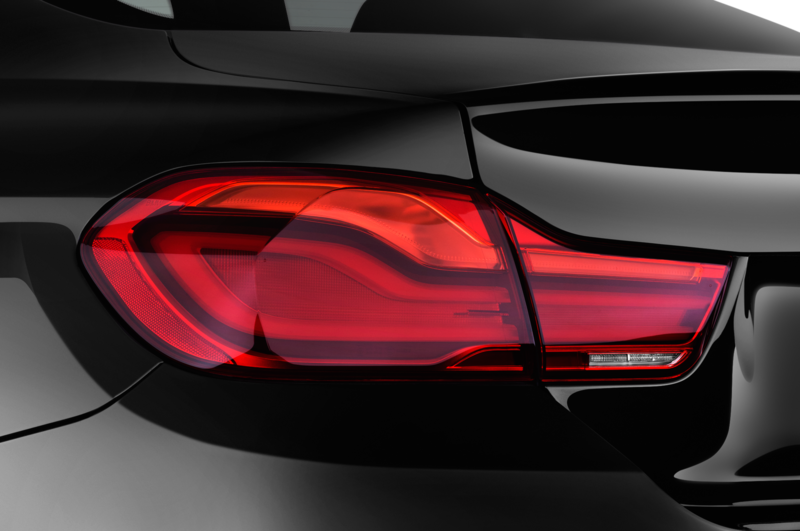 Pricing information will be released closer to the model’s on-sale date this fall. 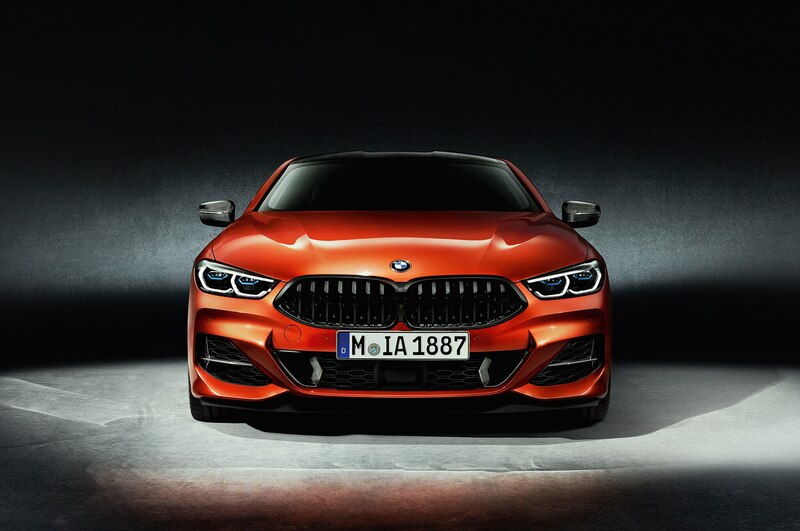 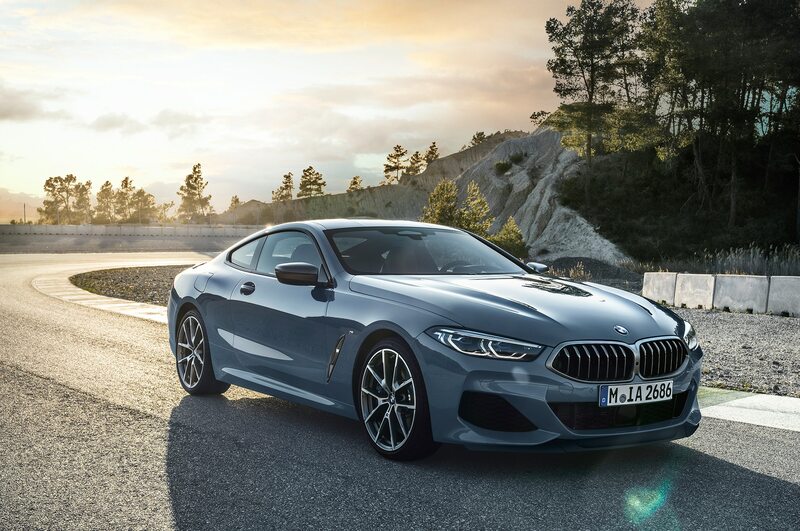 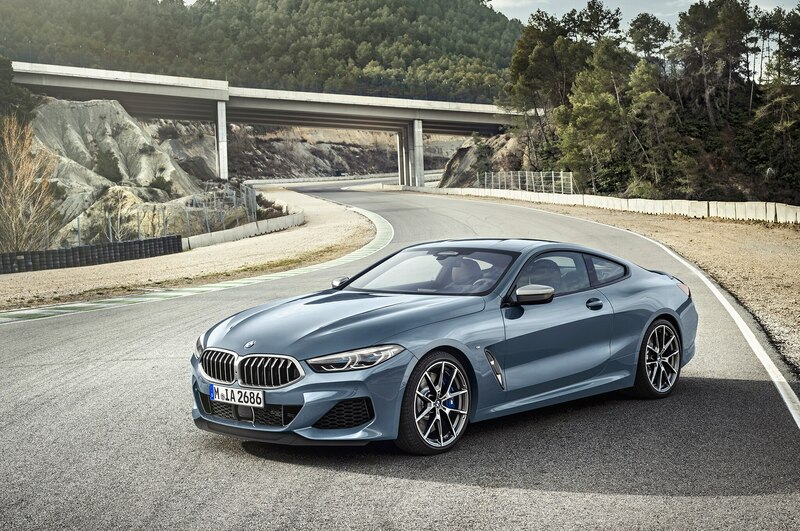 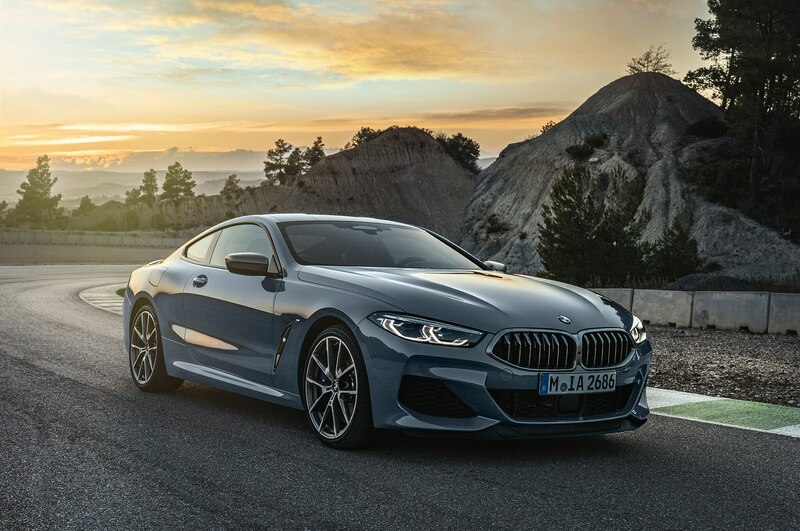 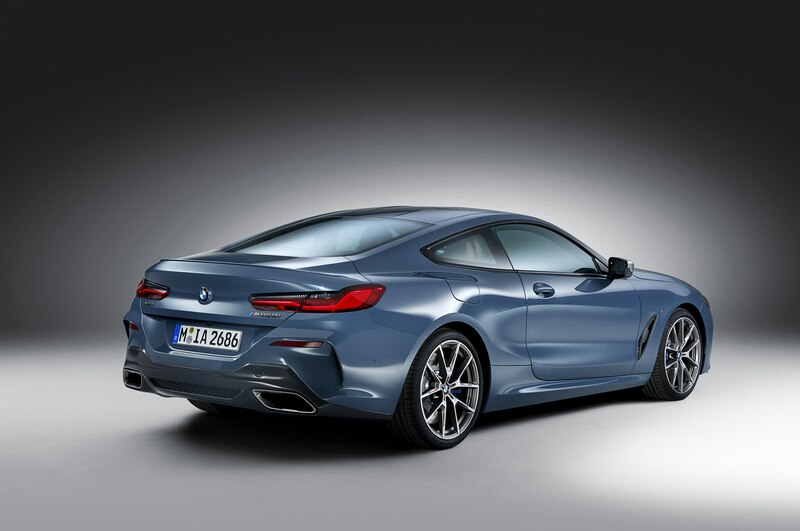 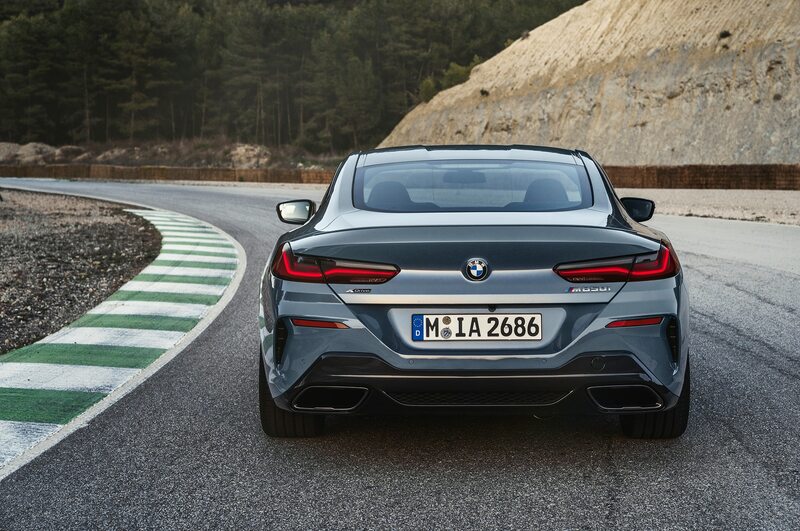 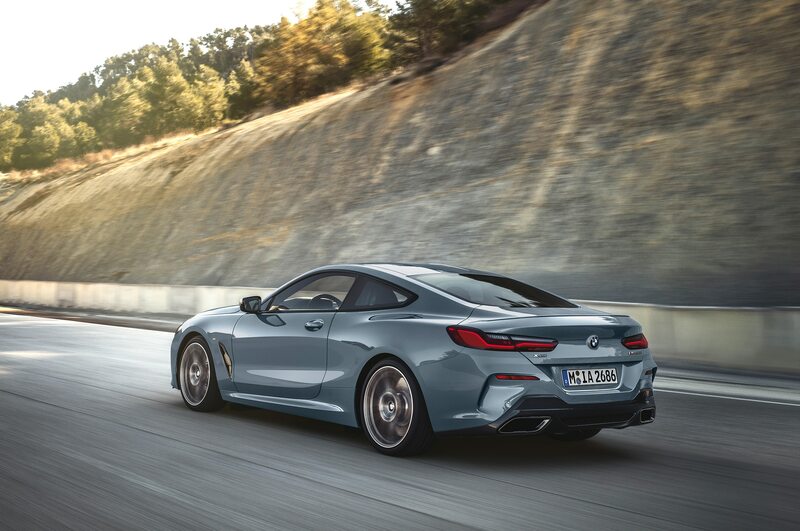 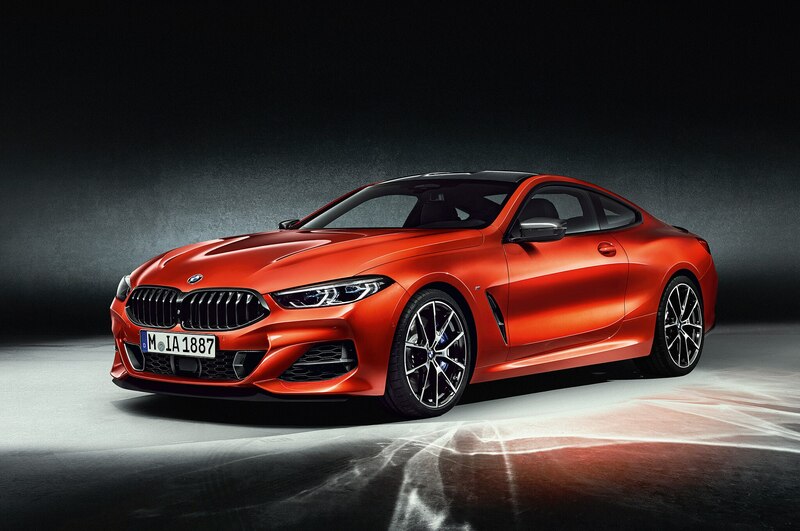 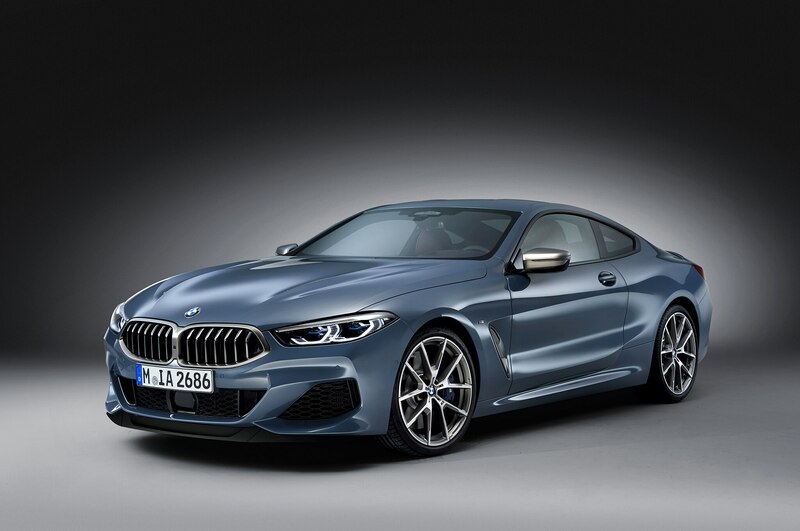 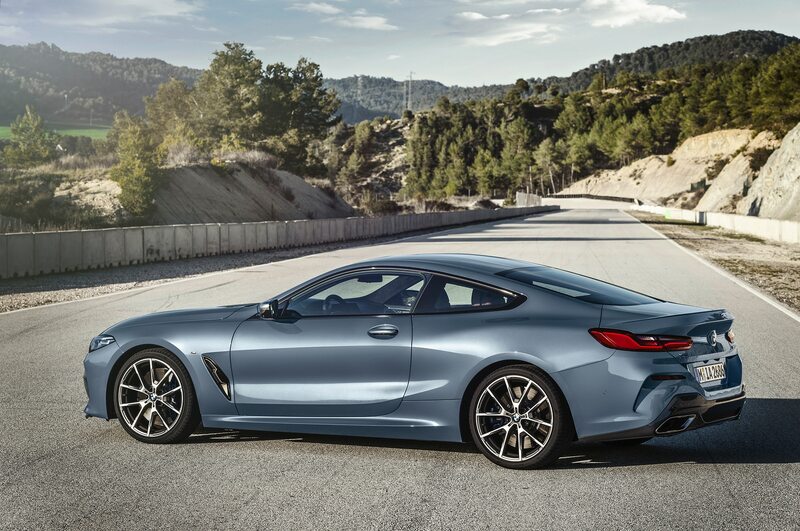 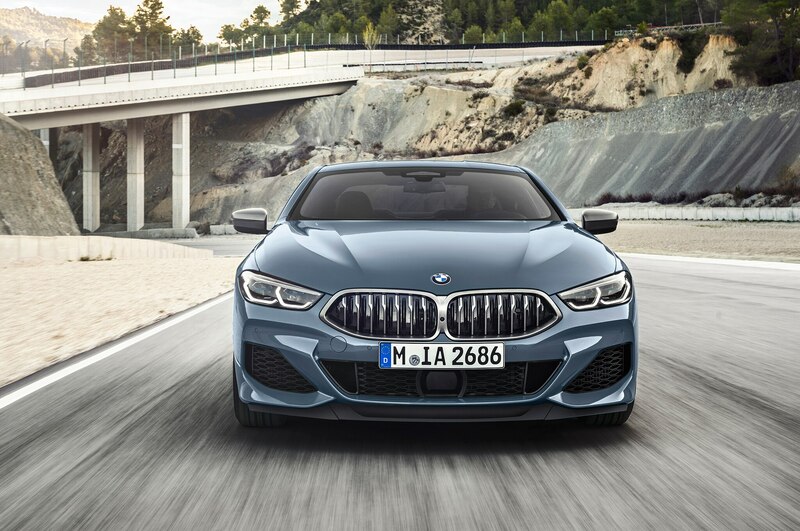 Check out the full gallery below for a closer look at the 2019 BMW 8 Series.